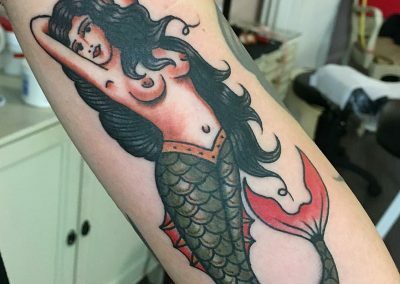 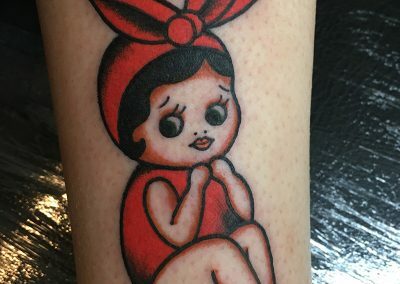 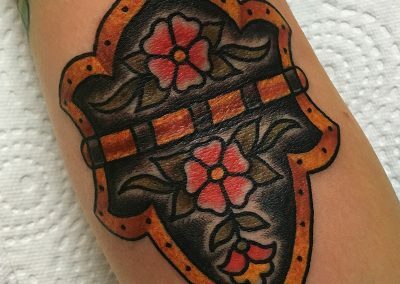 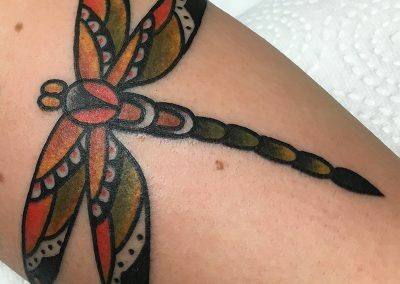 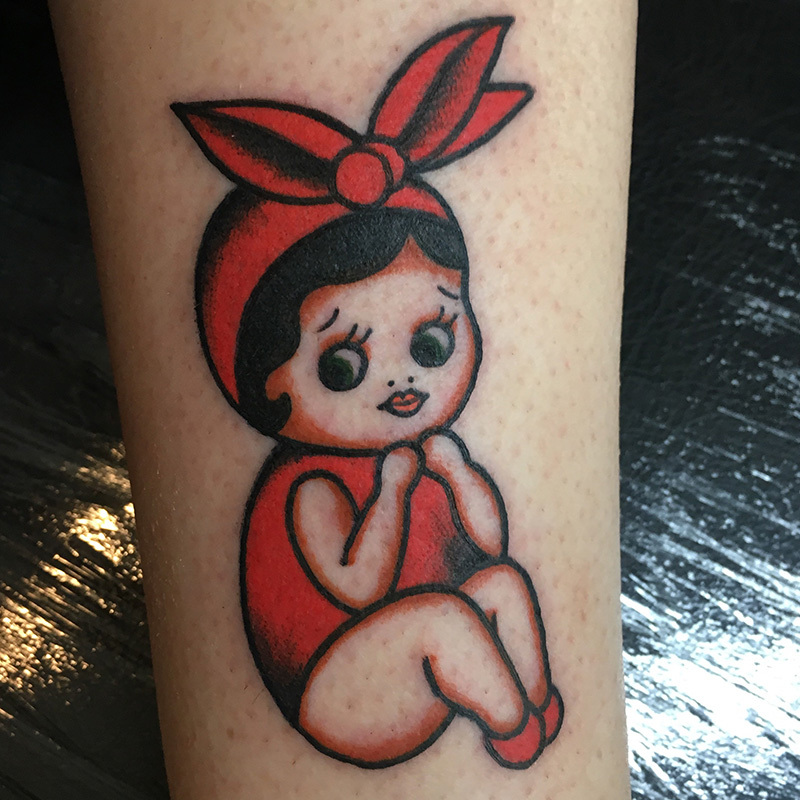 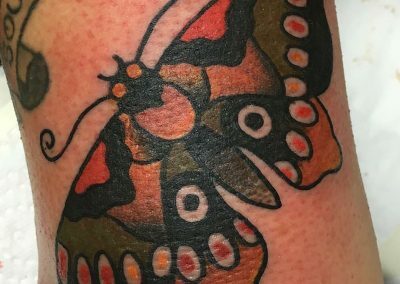 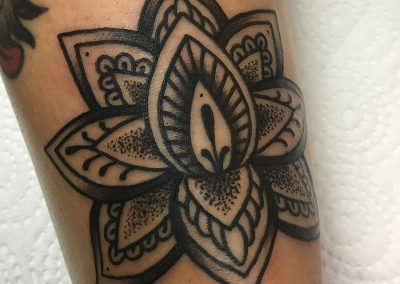 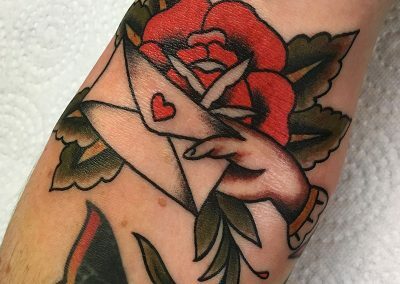 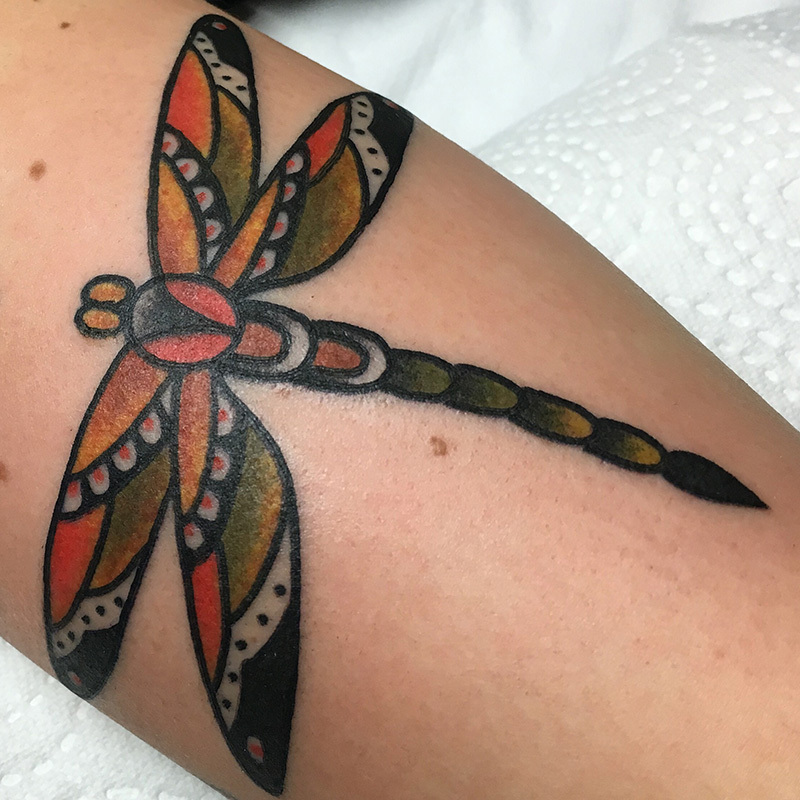 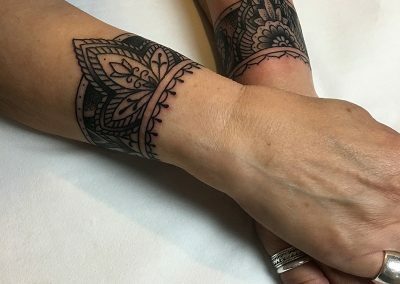 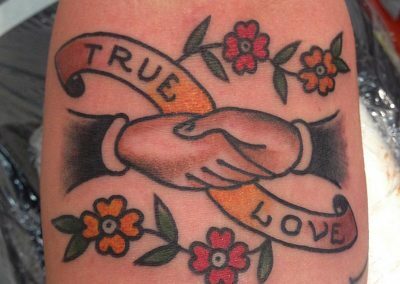 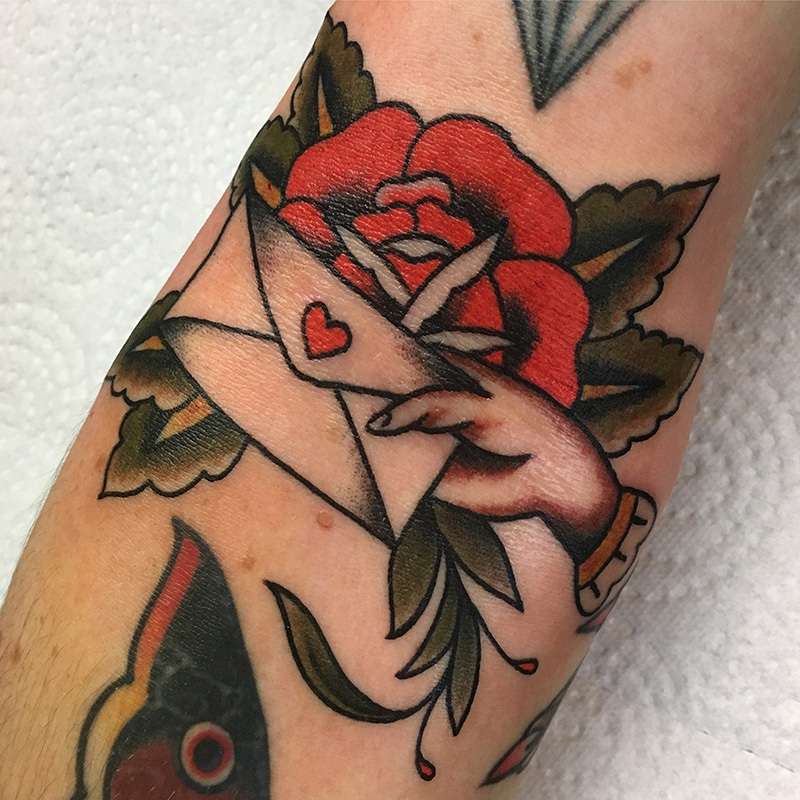 Because of her fascination for tattoos she started drawing tattoo ideas for her friends in the early 90ies, and also hand poked smaller tattoos. 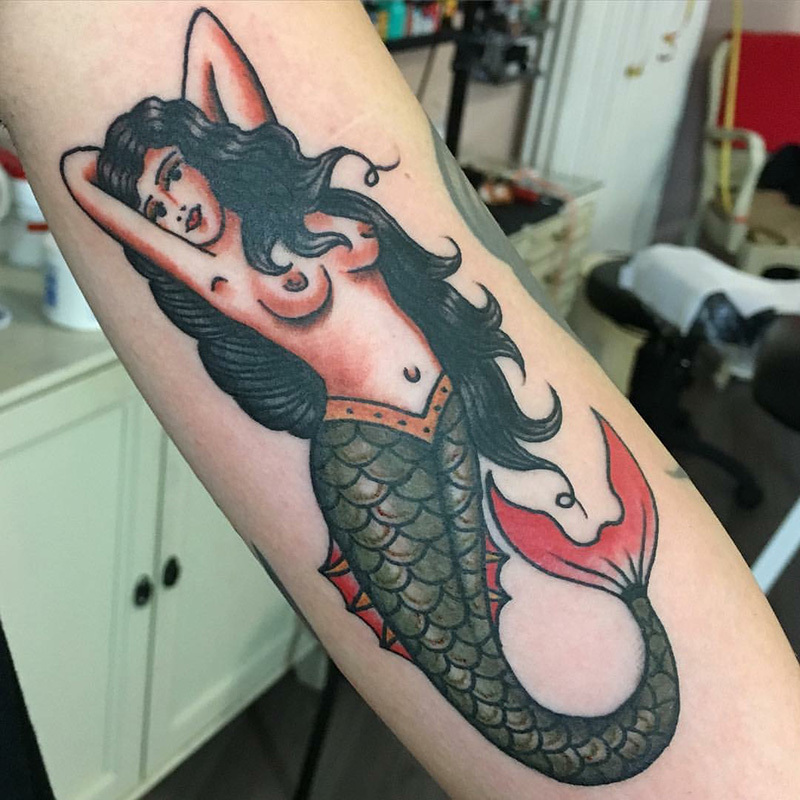 In 2003 she finally opened her first small tattoo shop. 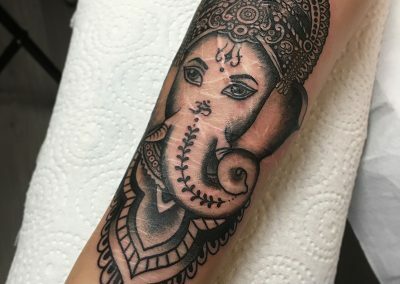 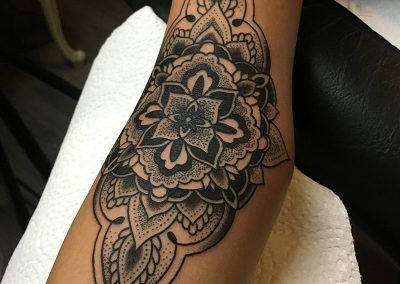 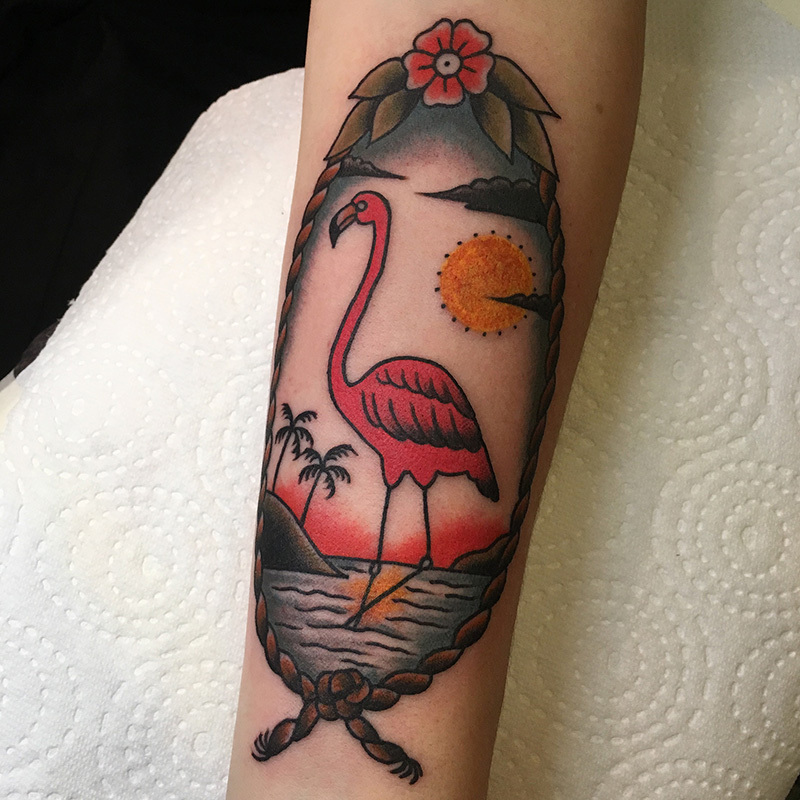 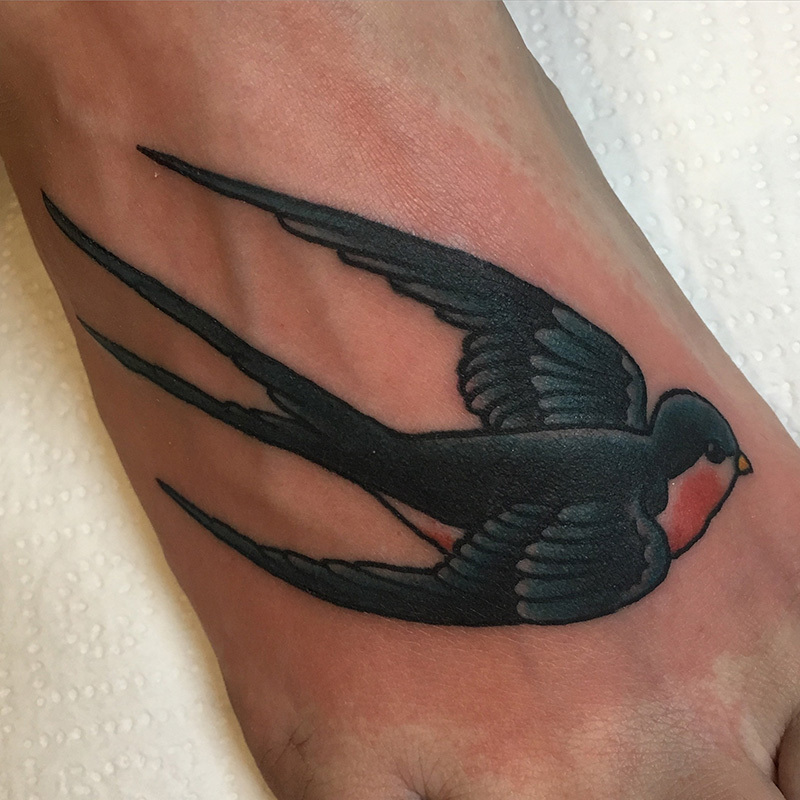 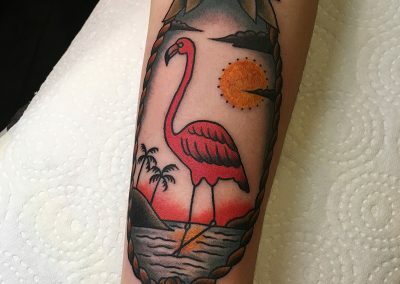 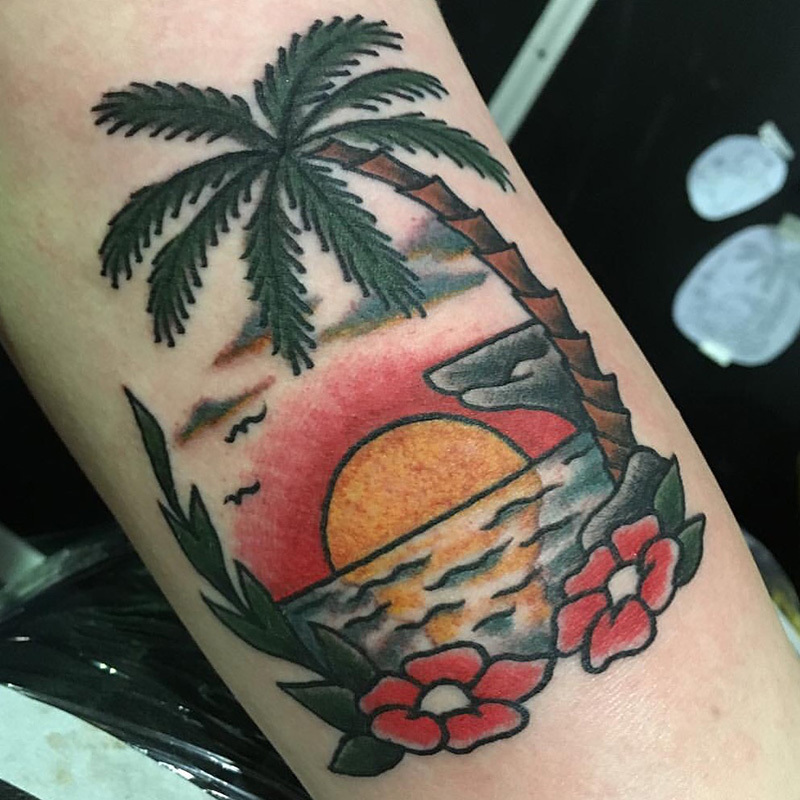 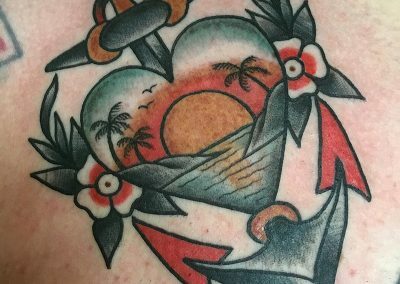 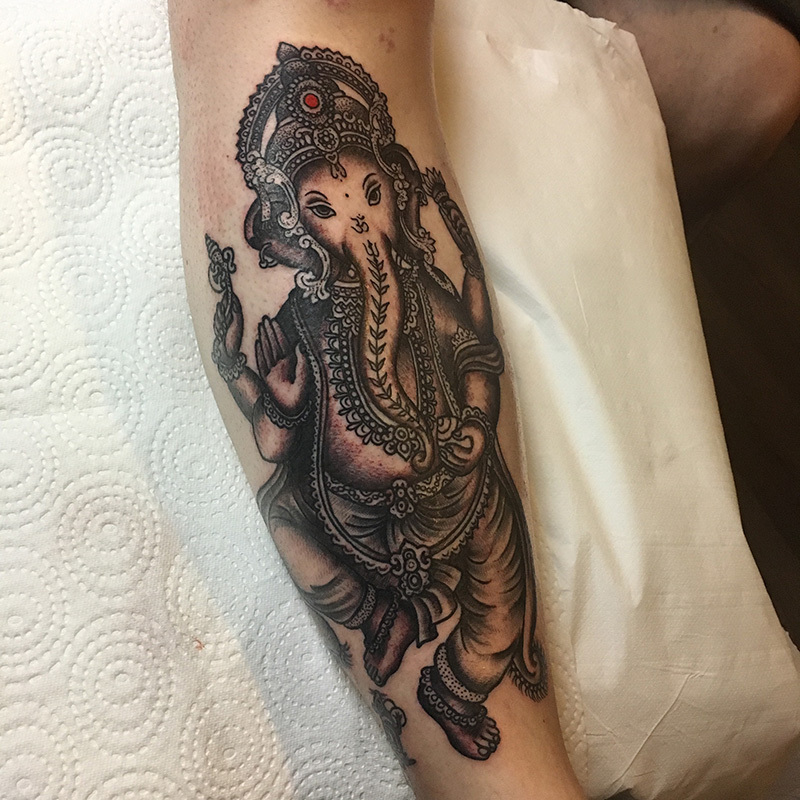 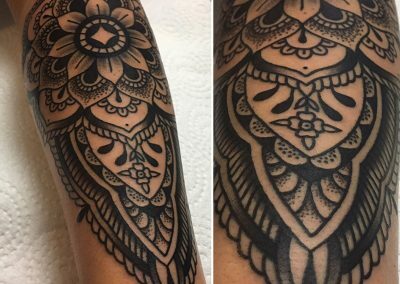 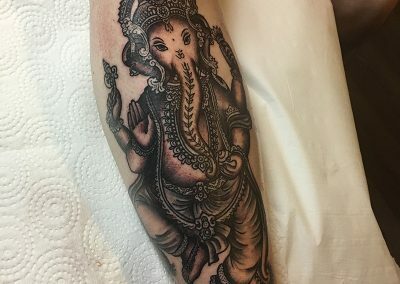 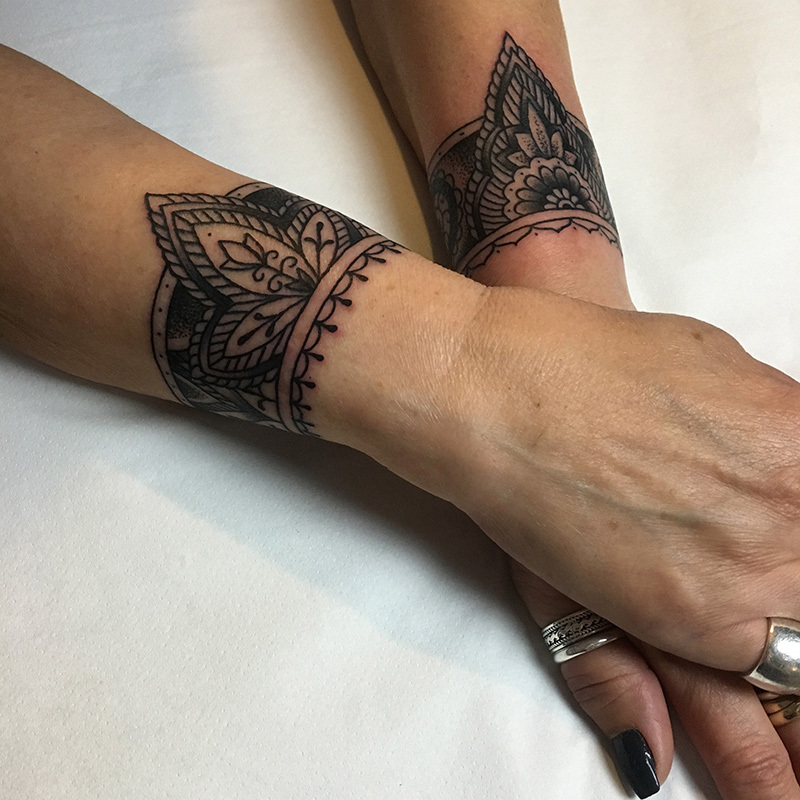 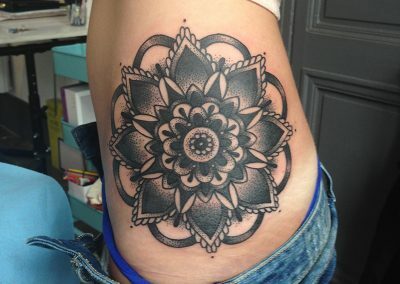 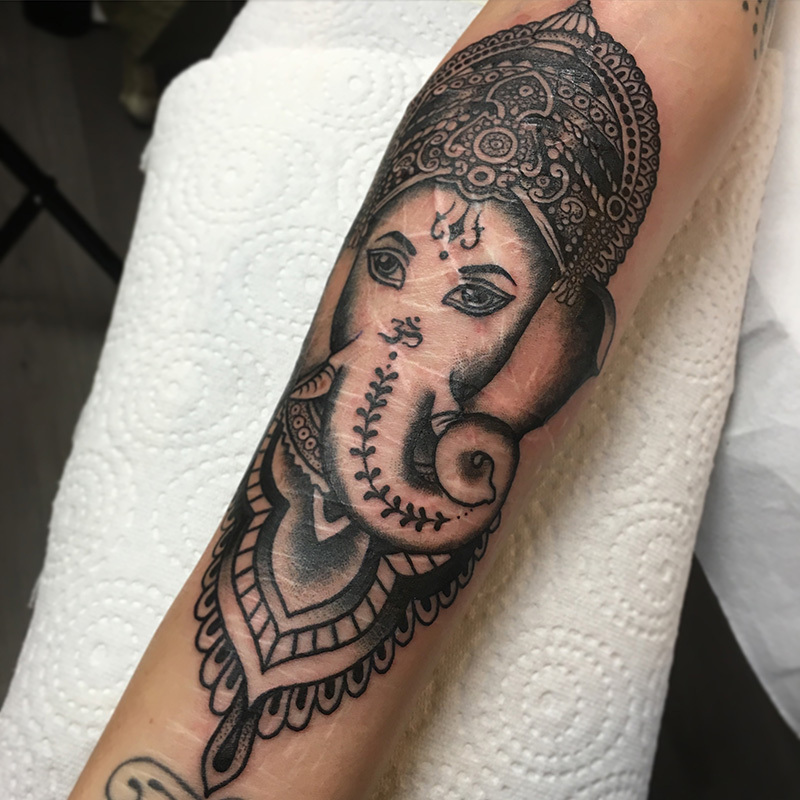 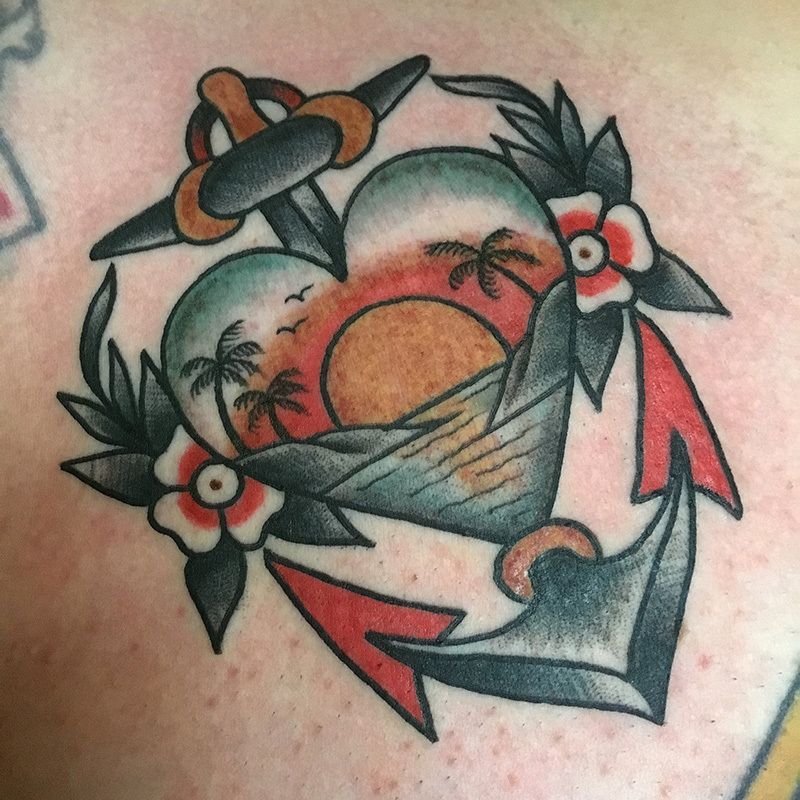 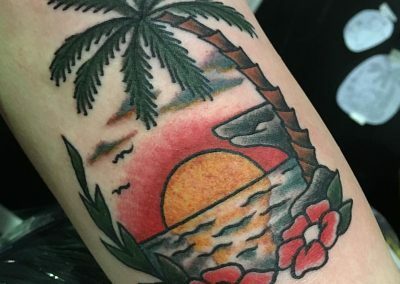 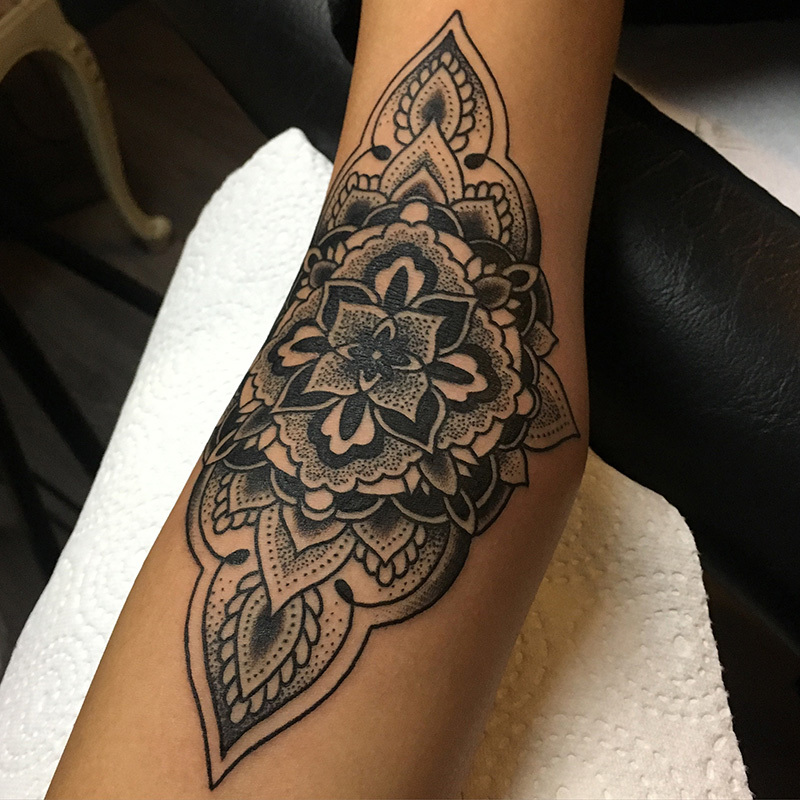 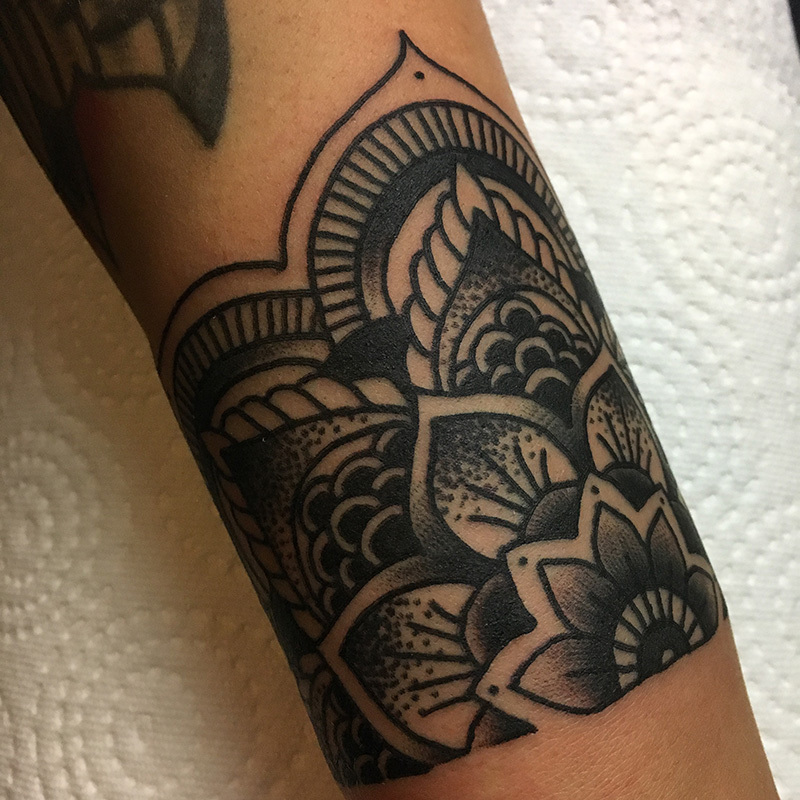 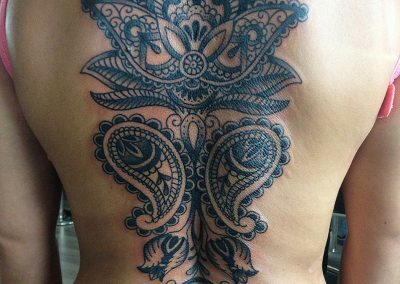 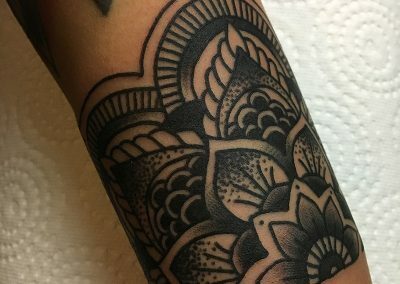 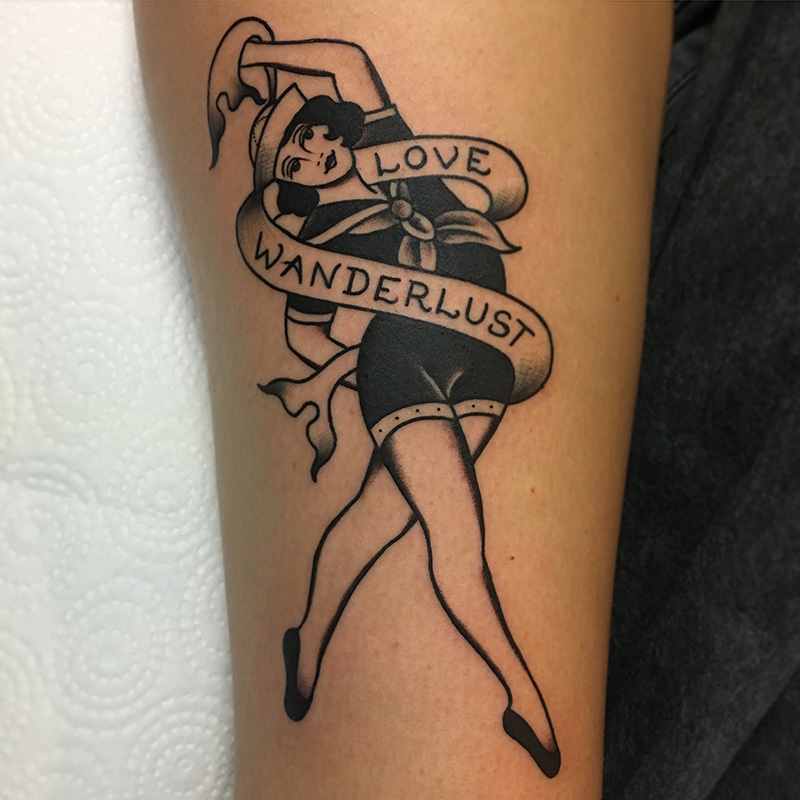 Travelling to all over the world, she worked at many different studios with many different tattoo artists, and thus elaborated her skills and favorite styles. 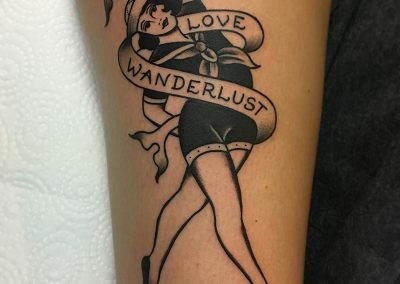 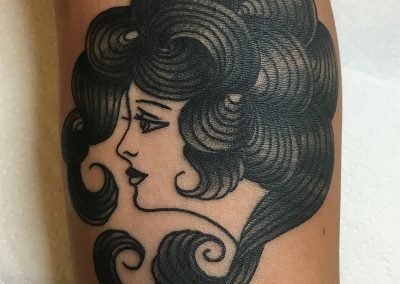 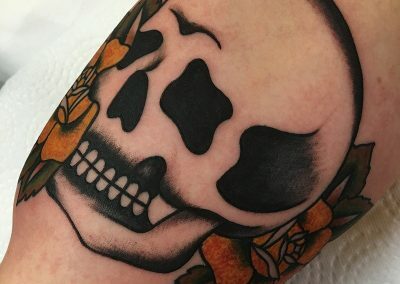 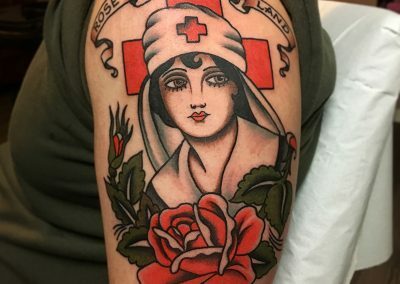 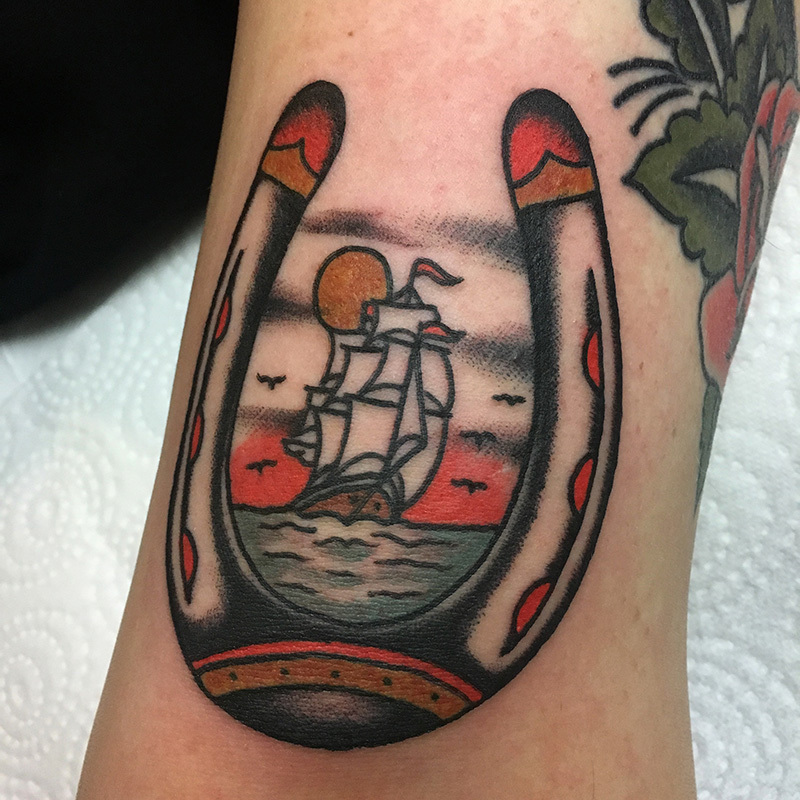 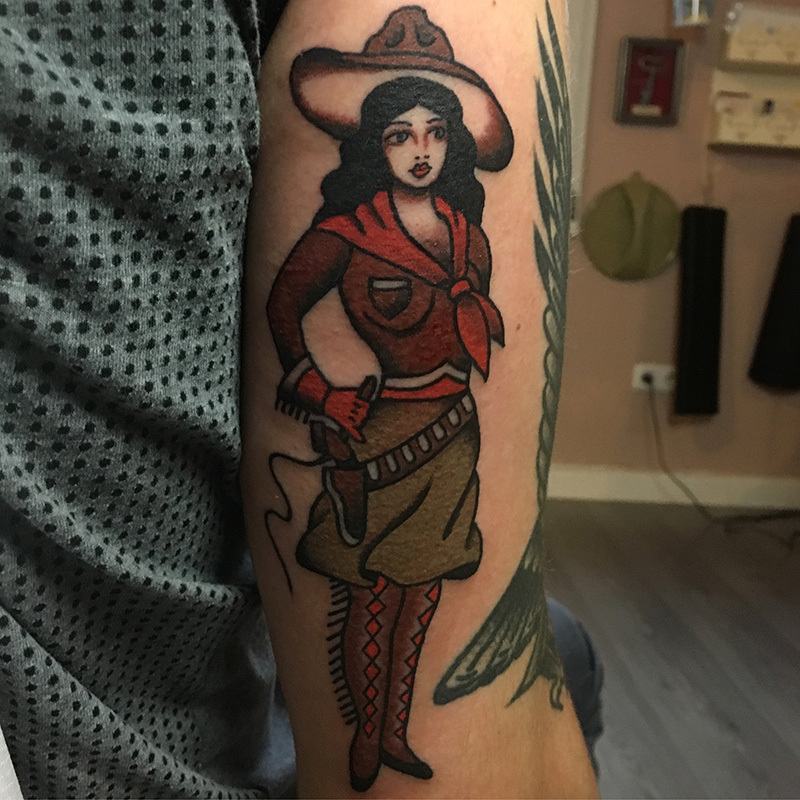 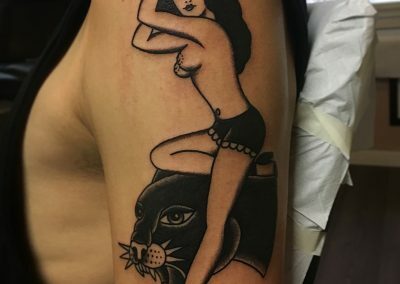 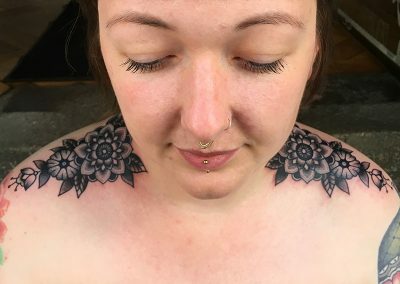 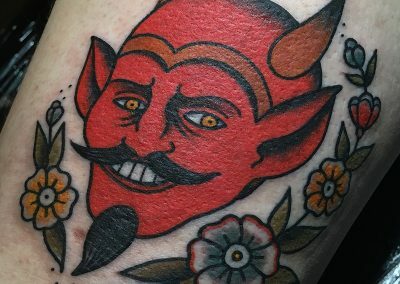 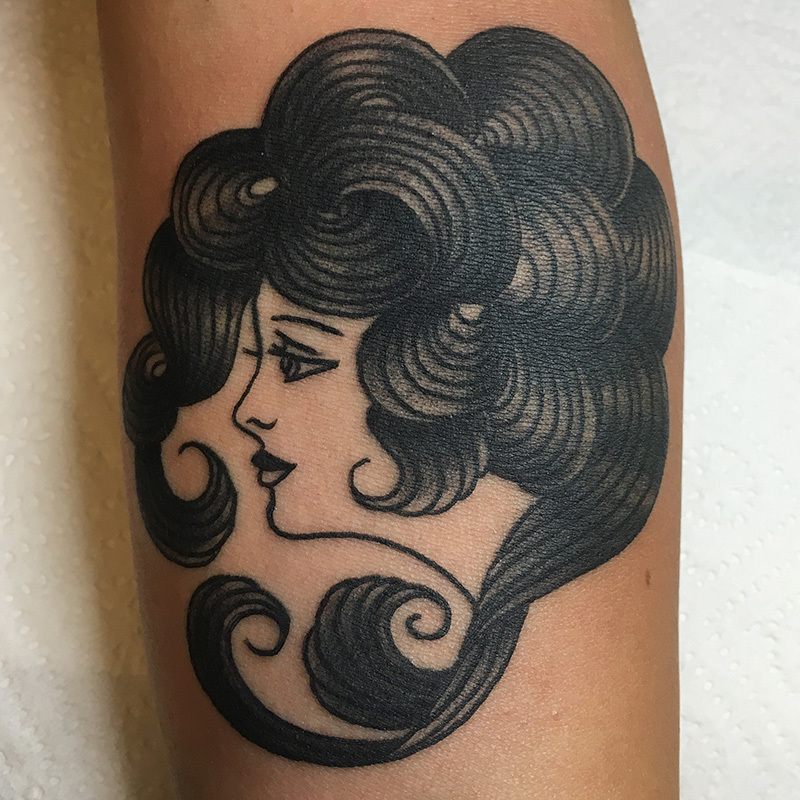 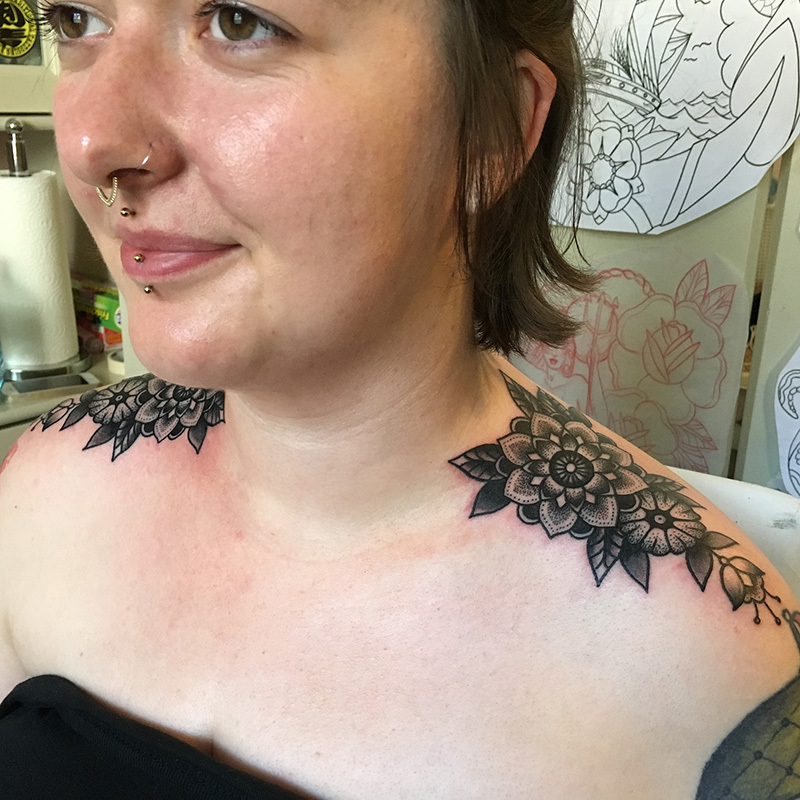 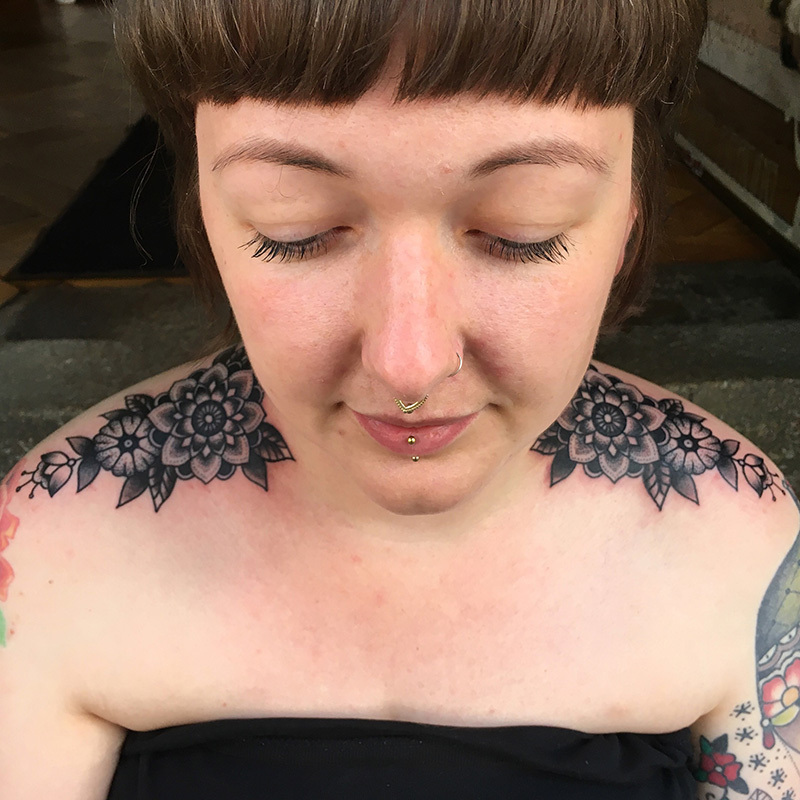 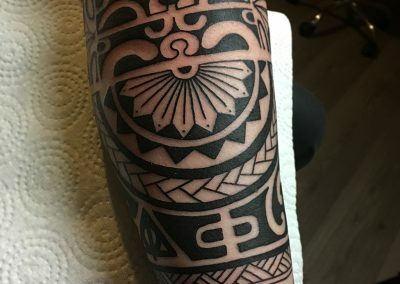 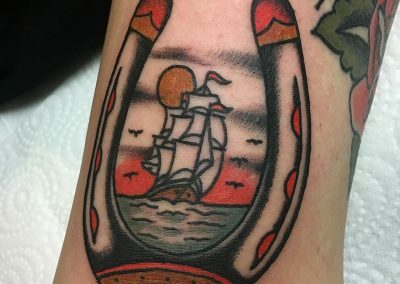 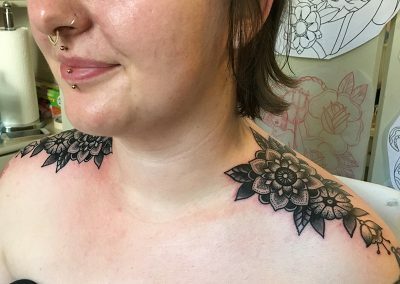 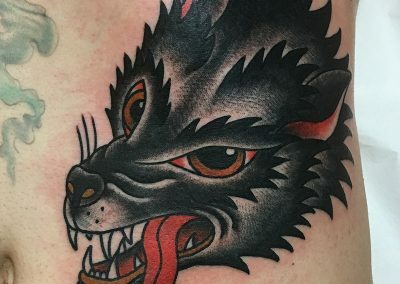 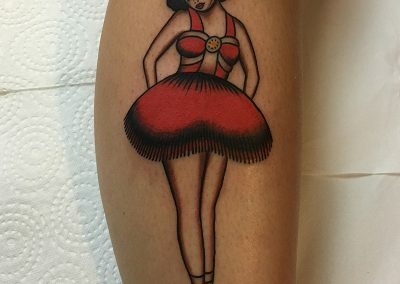 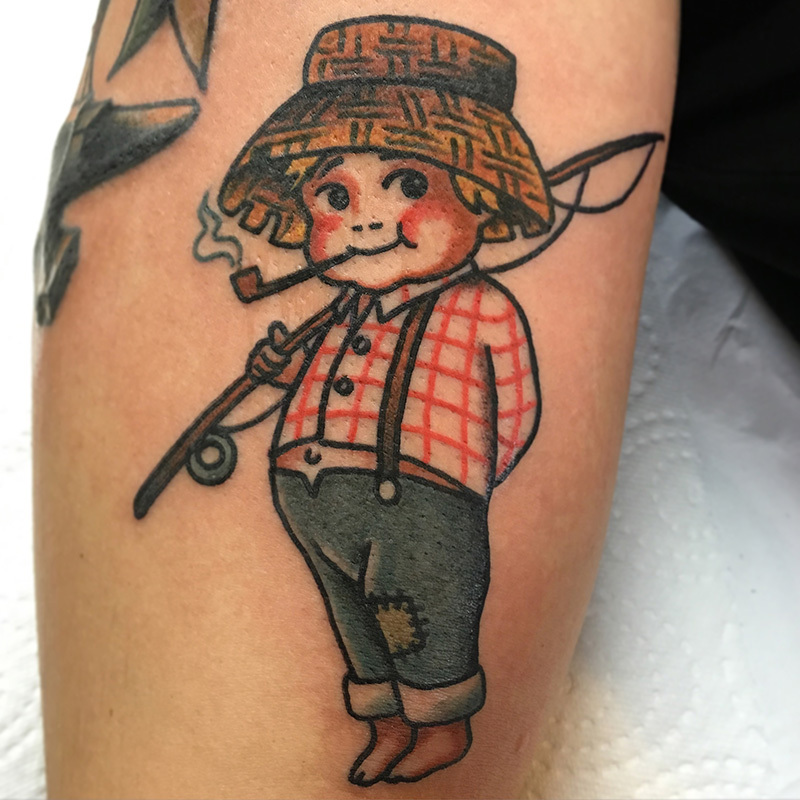 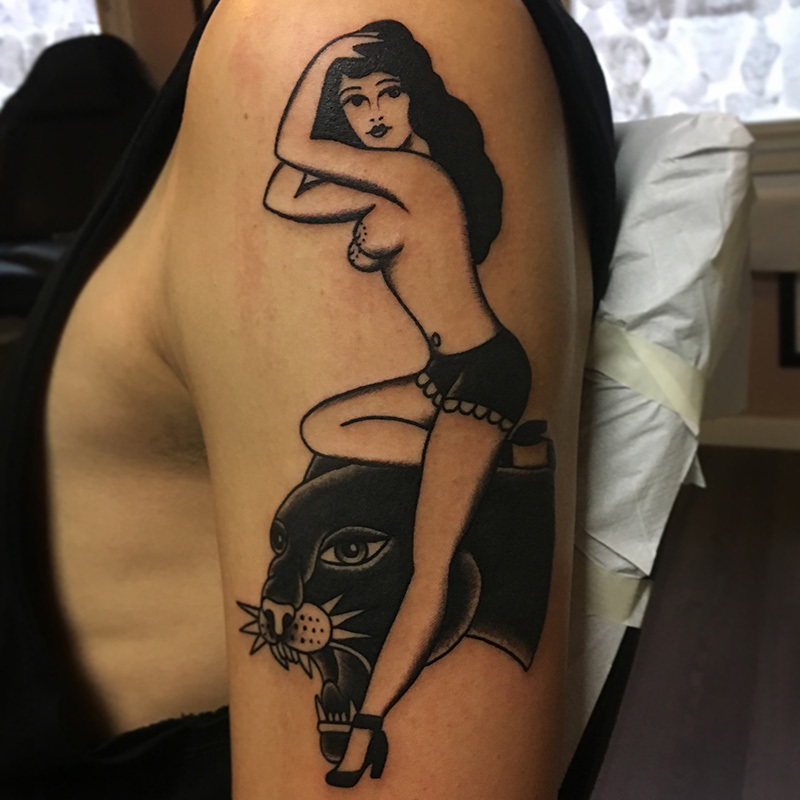 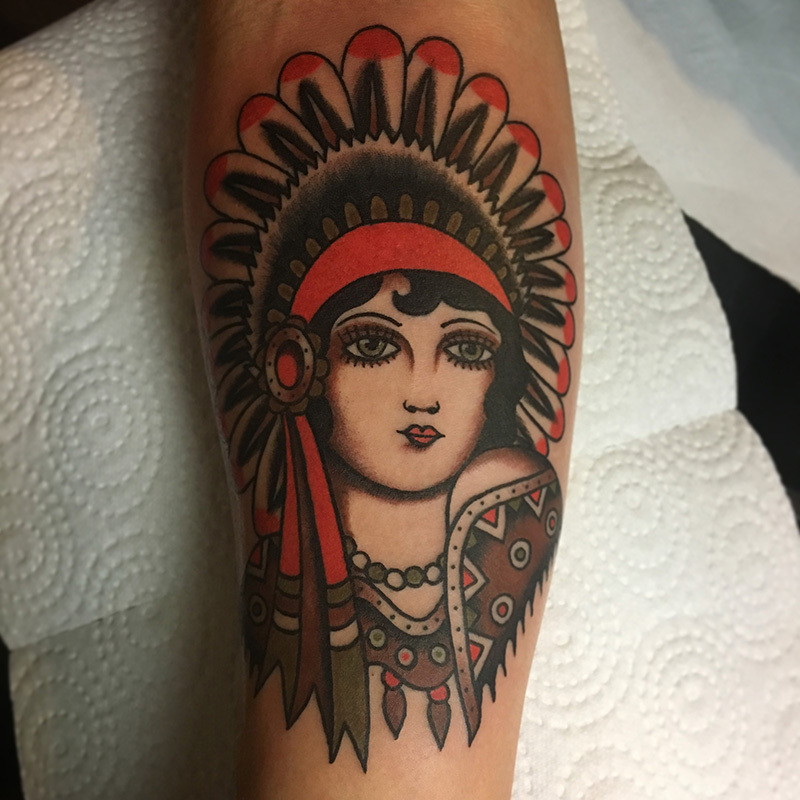 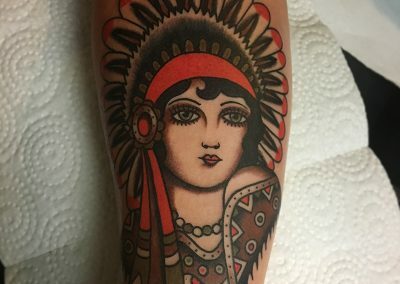 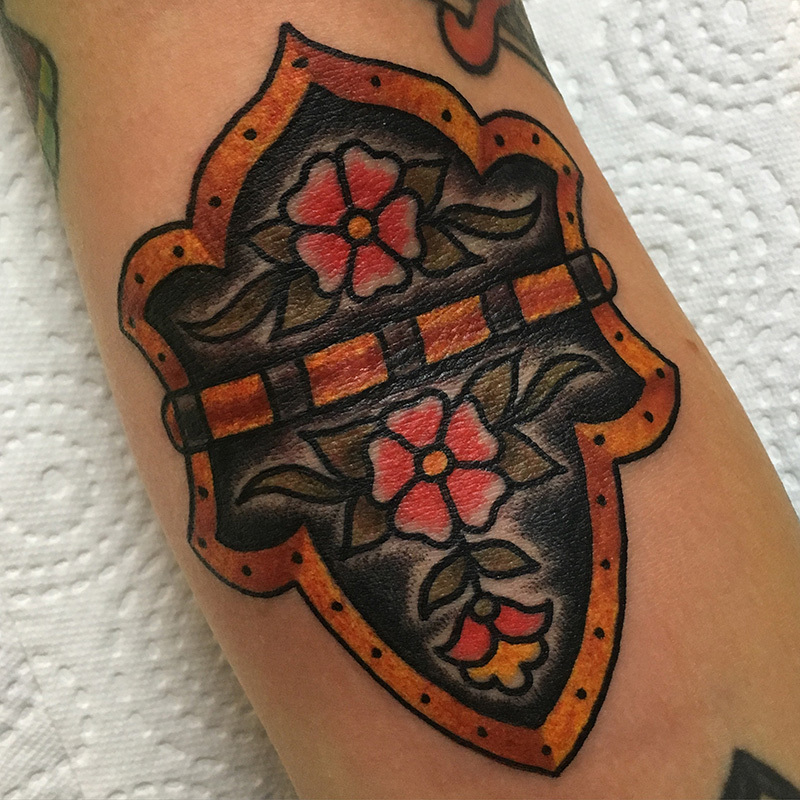 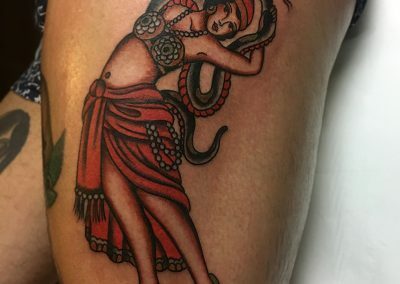 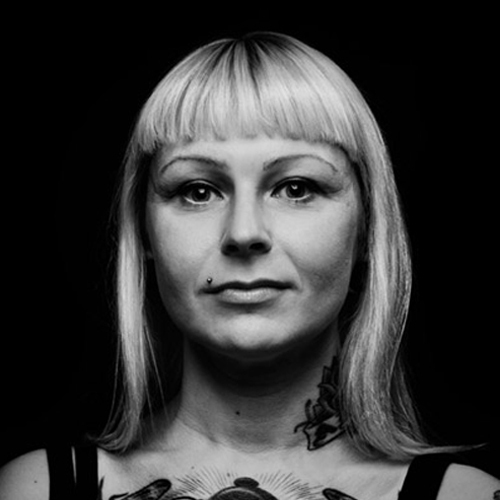 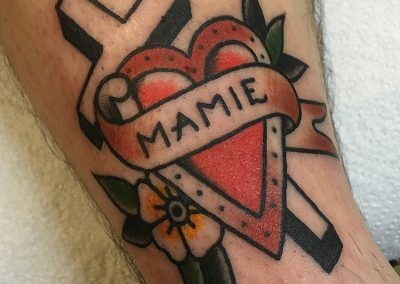 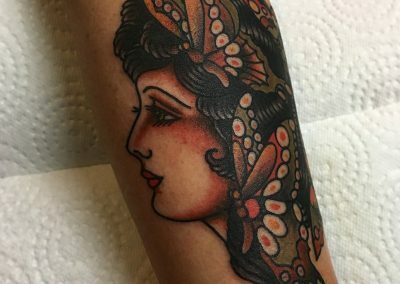 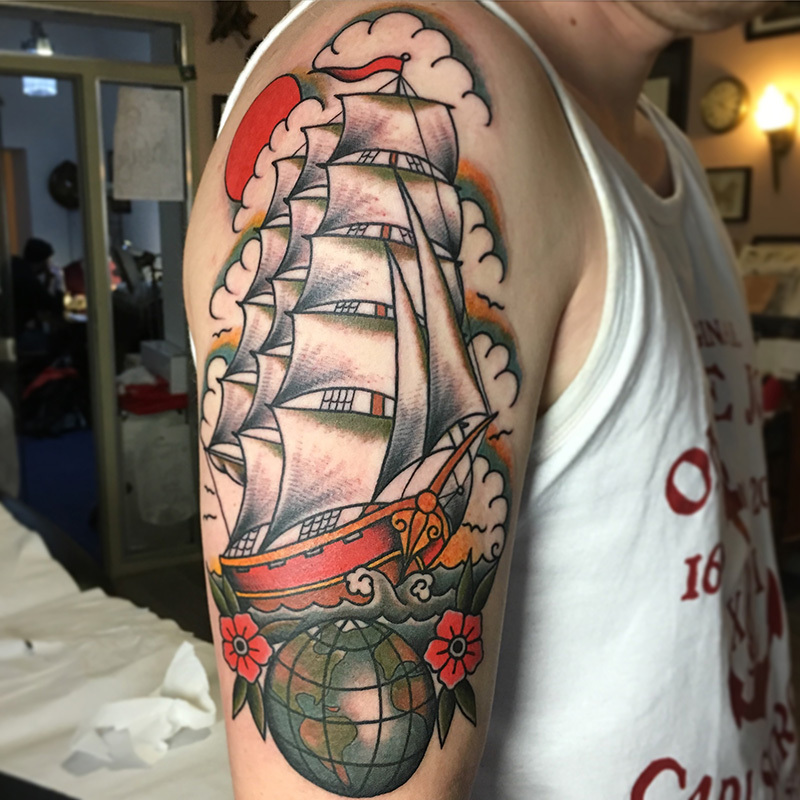 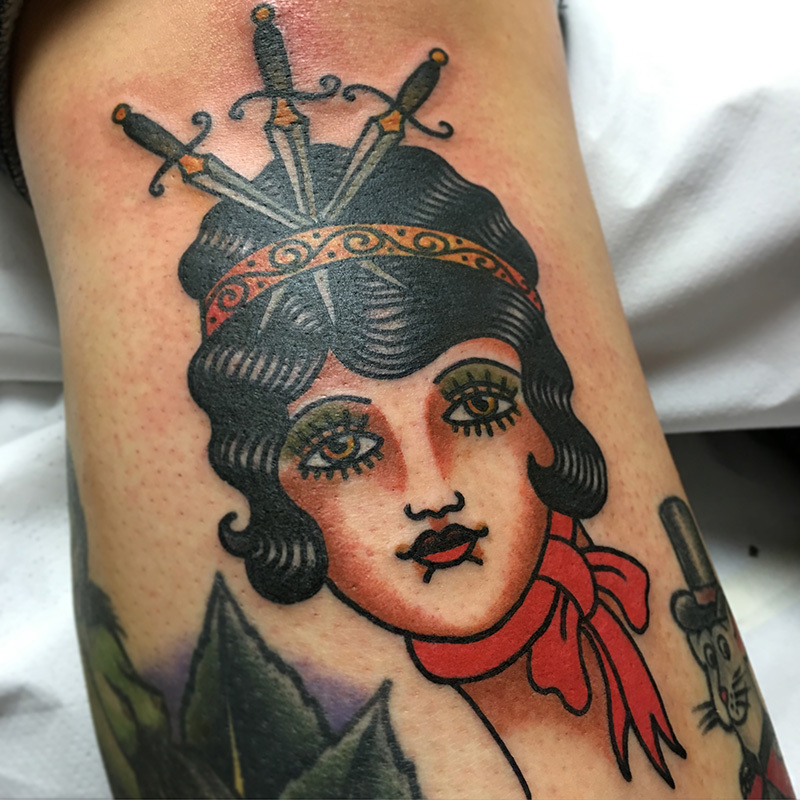 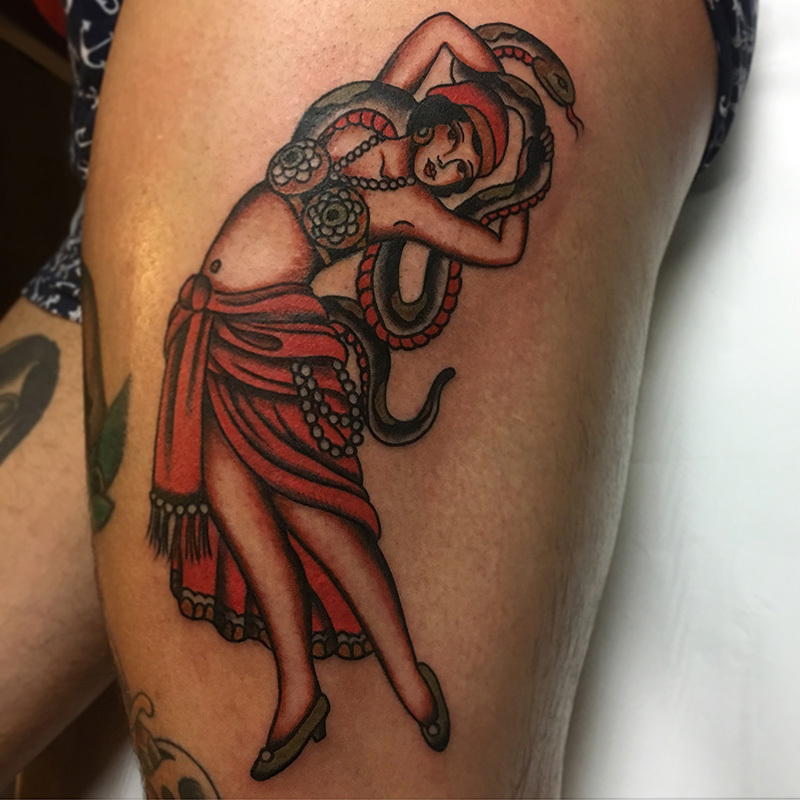 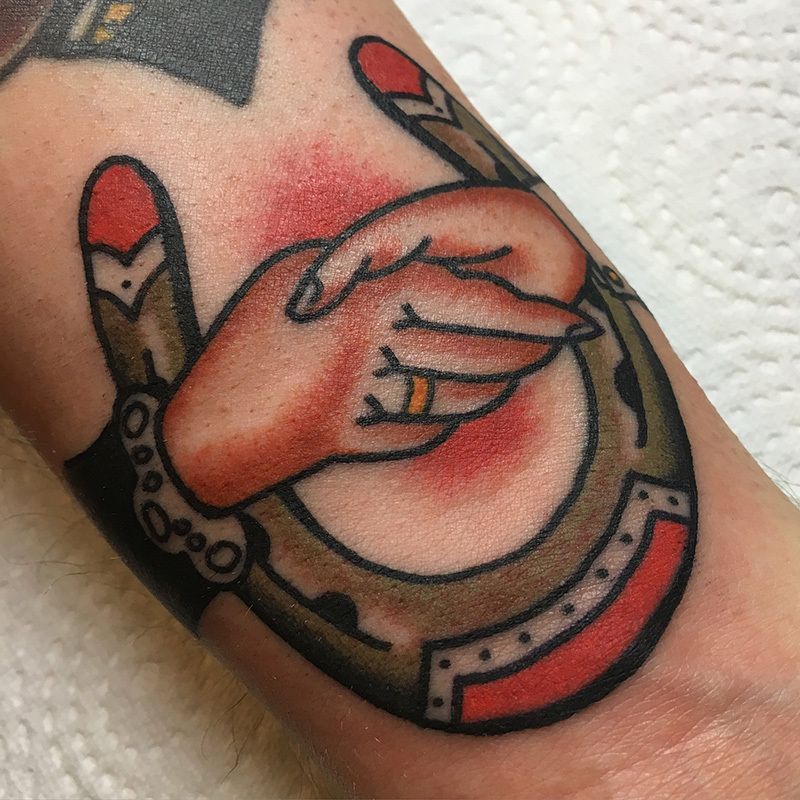 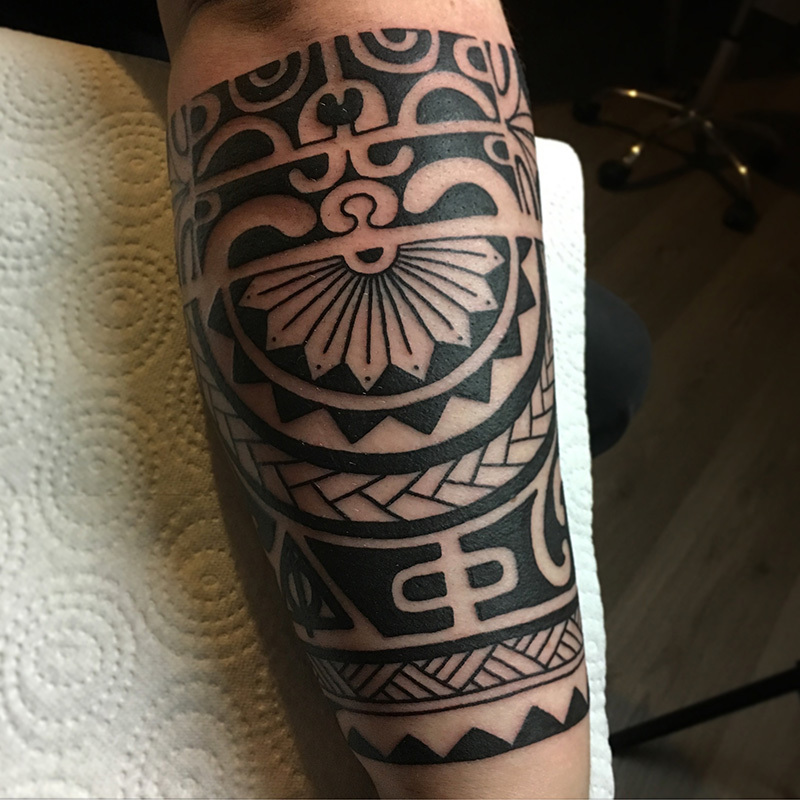 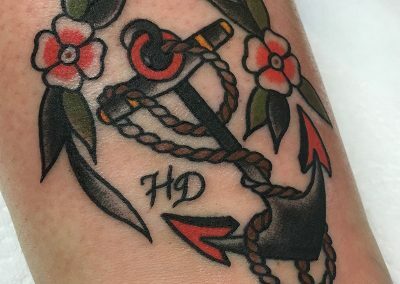 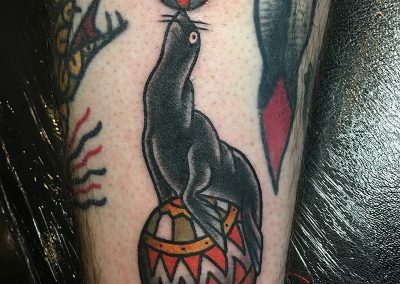 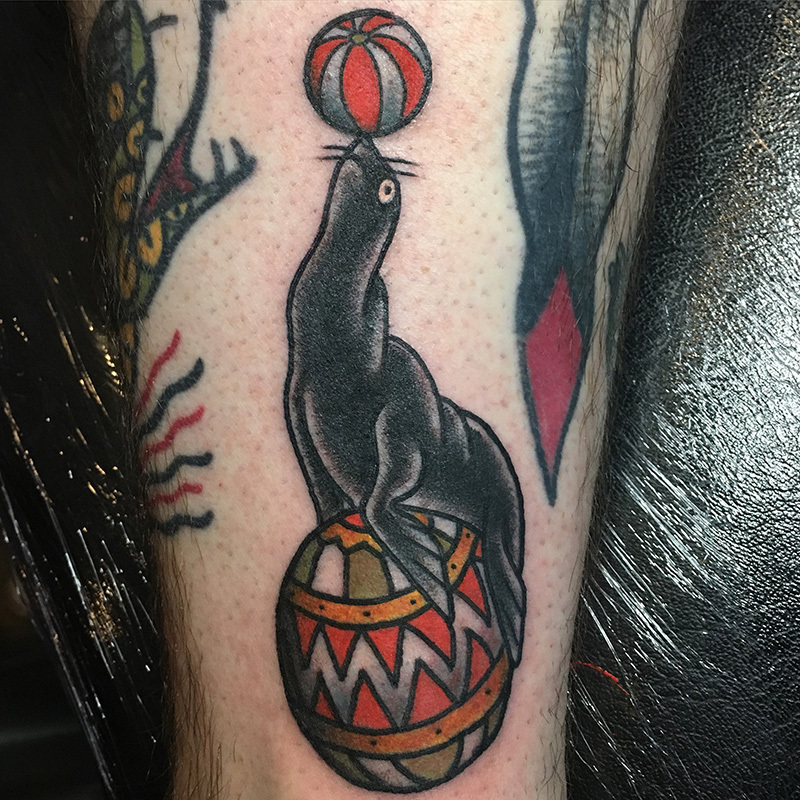 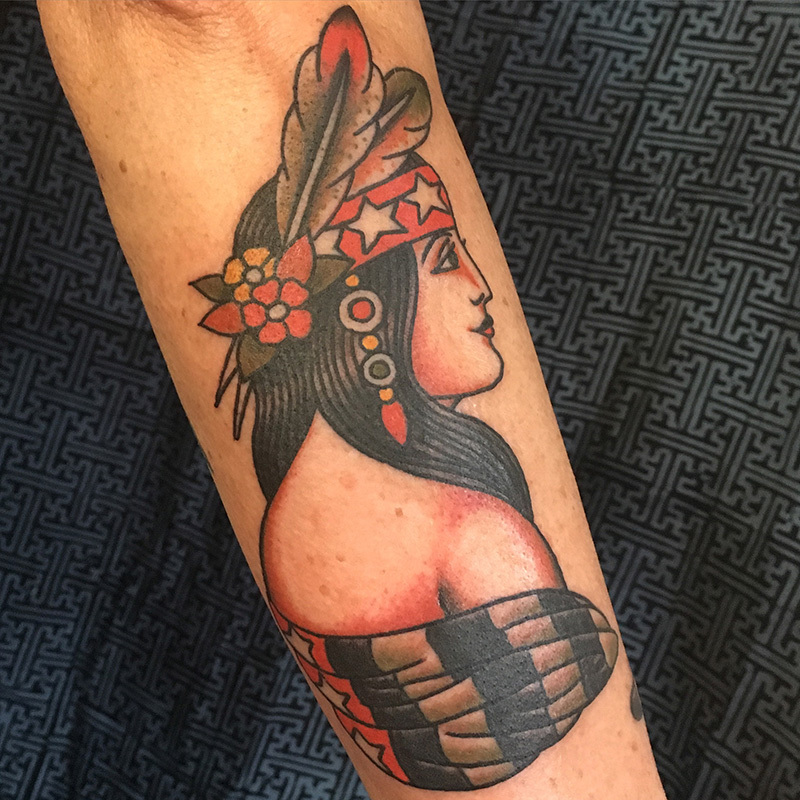 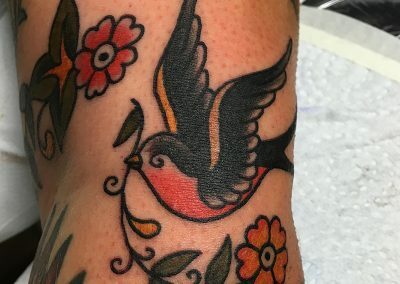 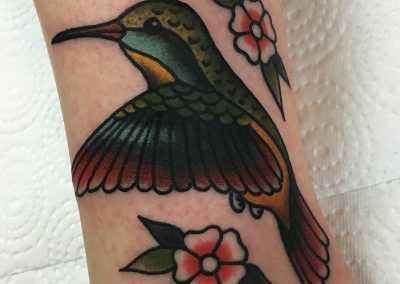 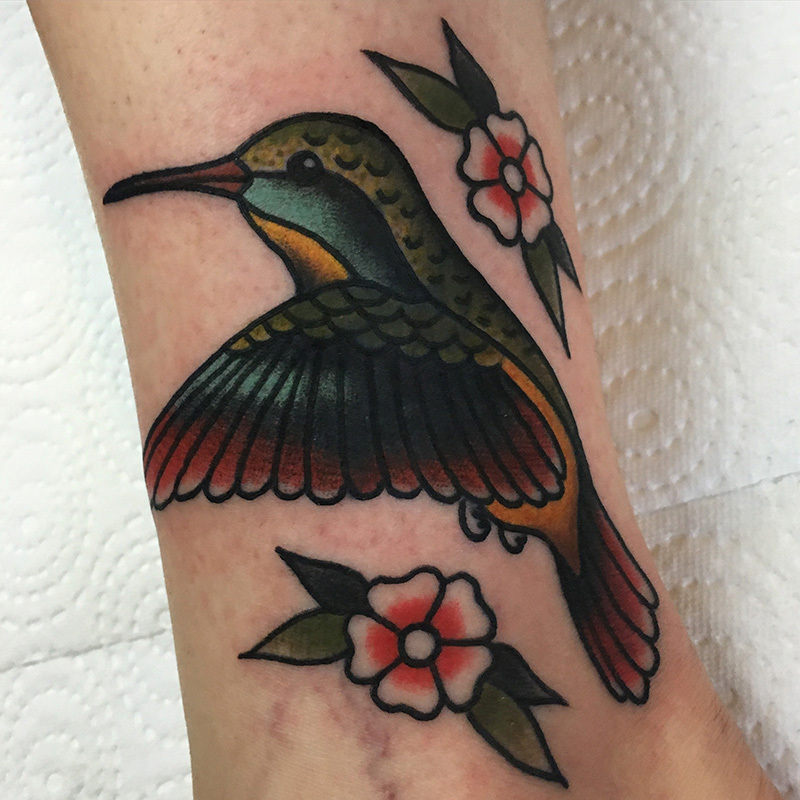 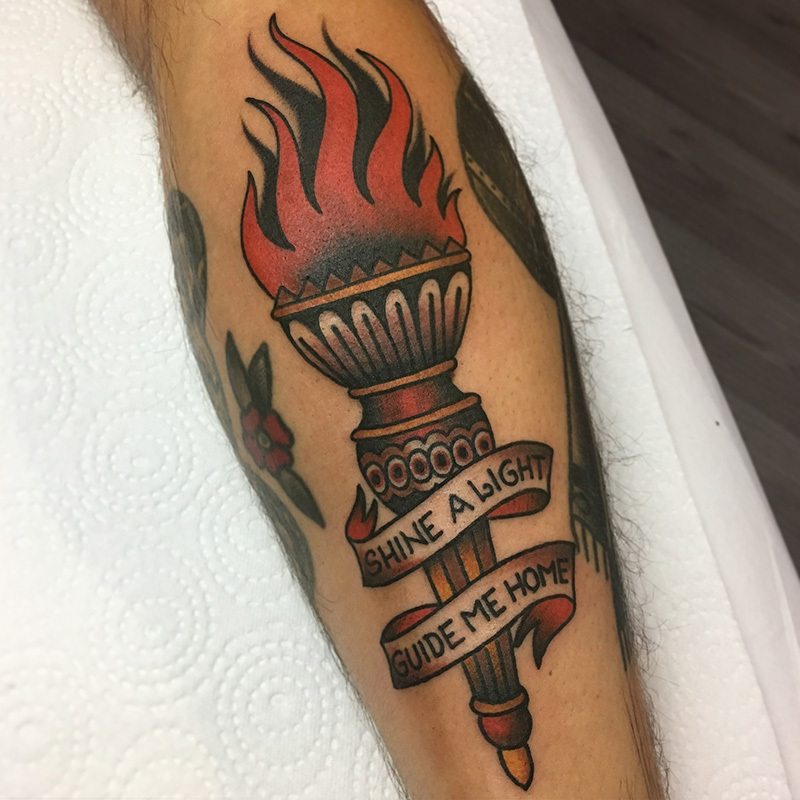 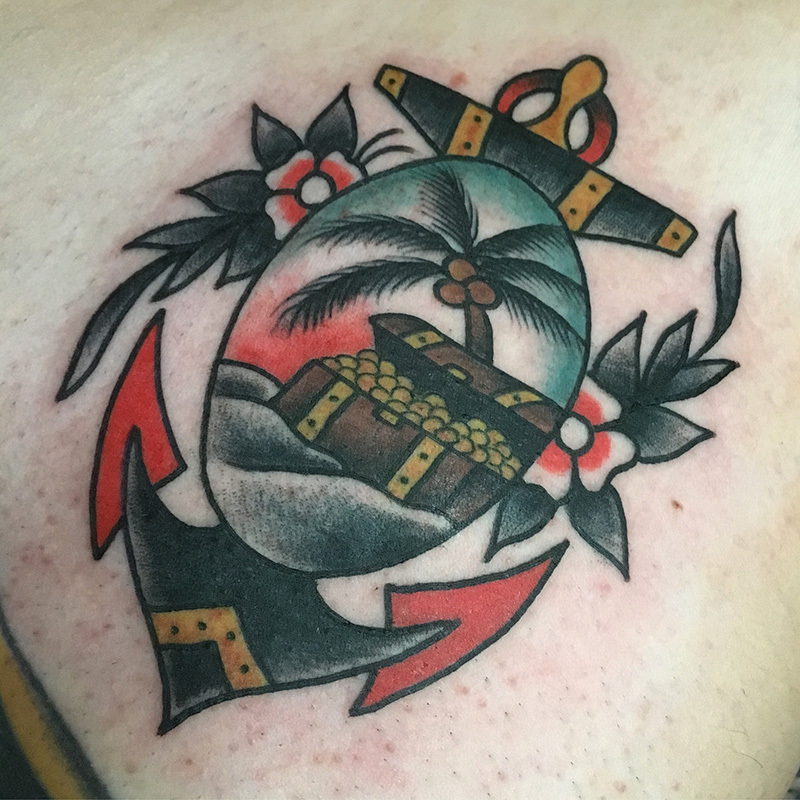 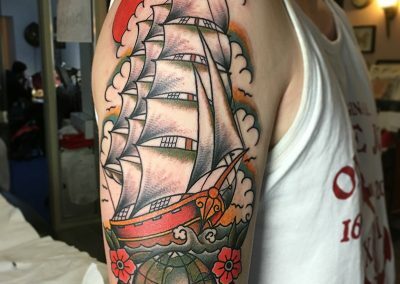 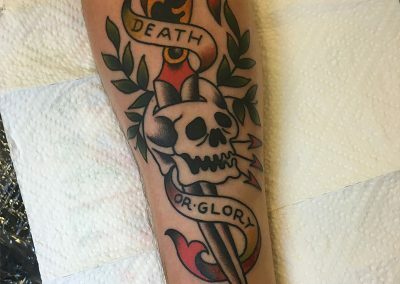 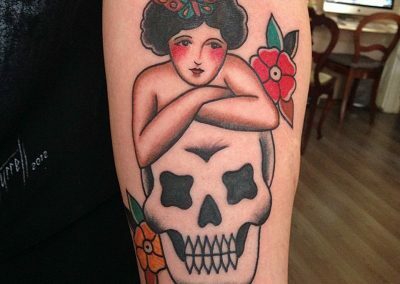 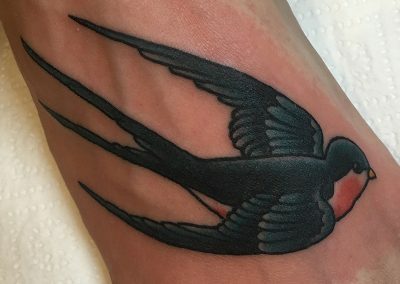 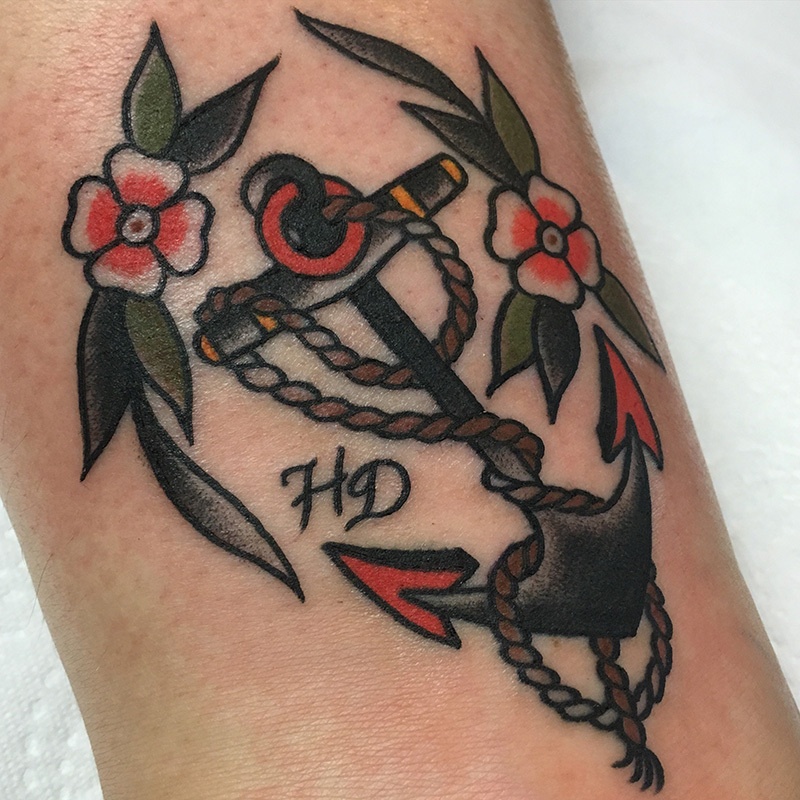 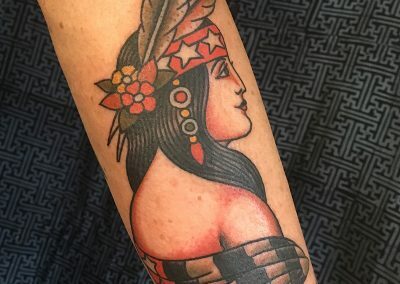 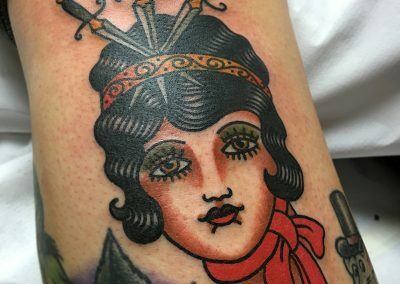 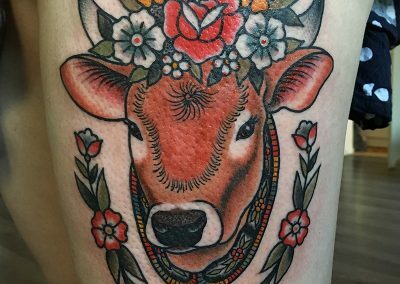 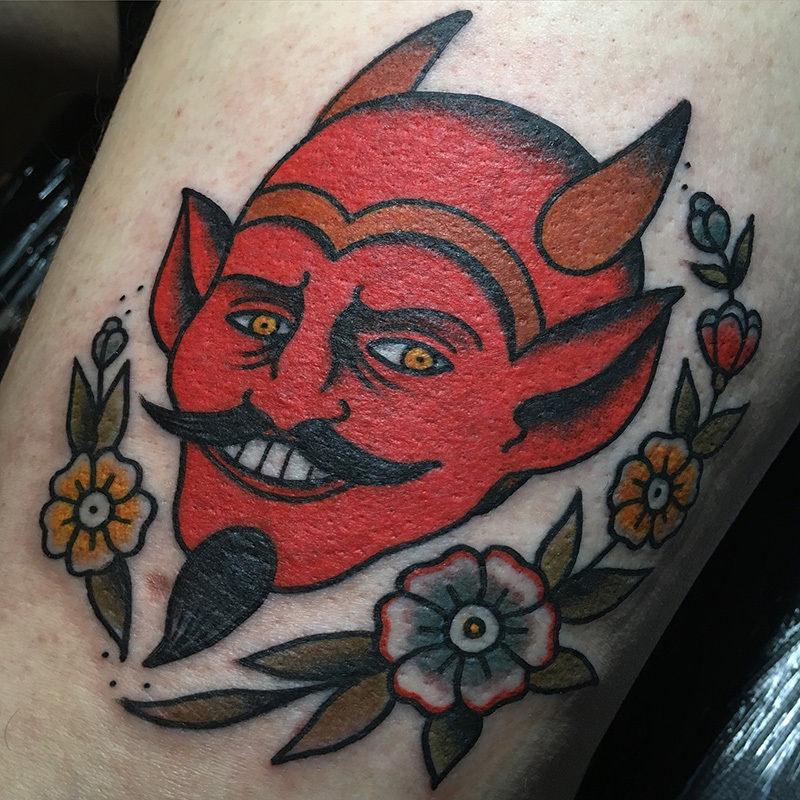 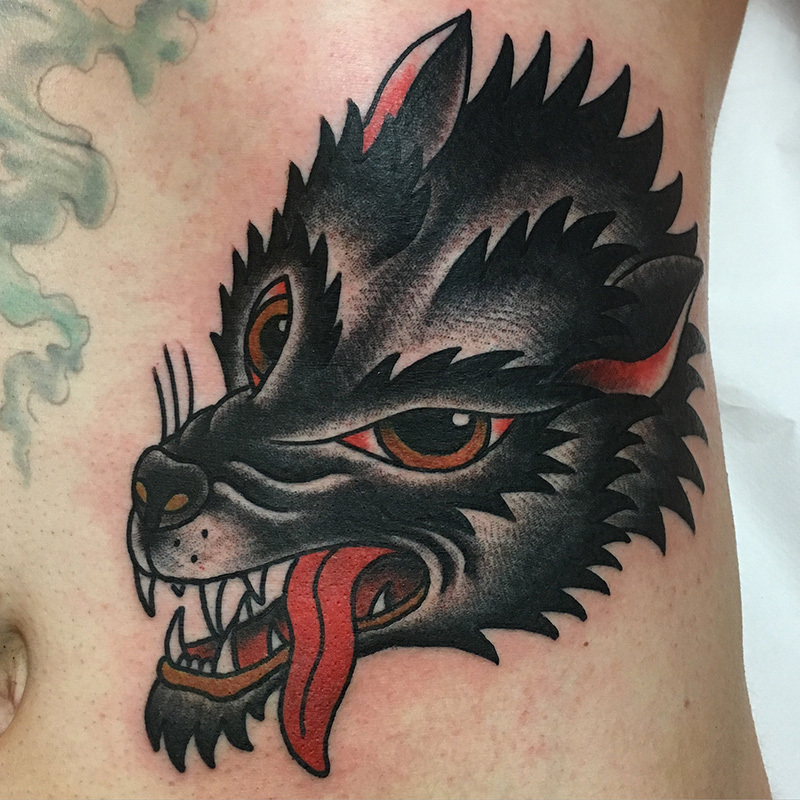 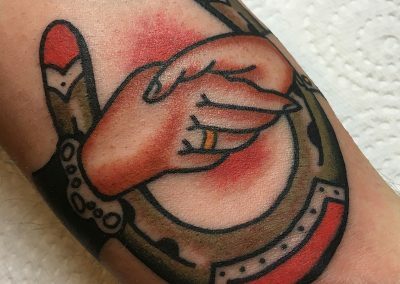 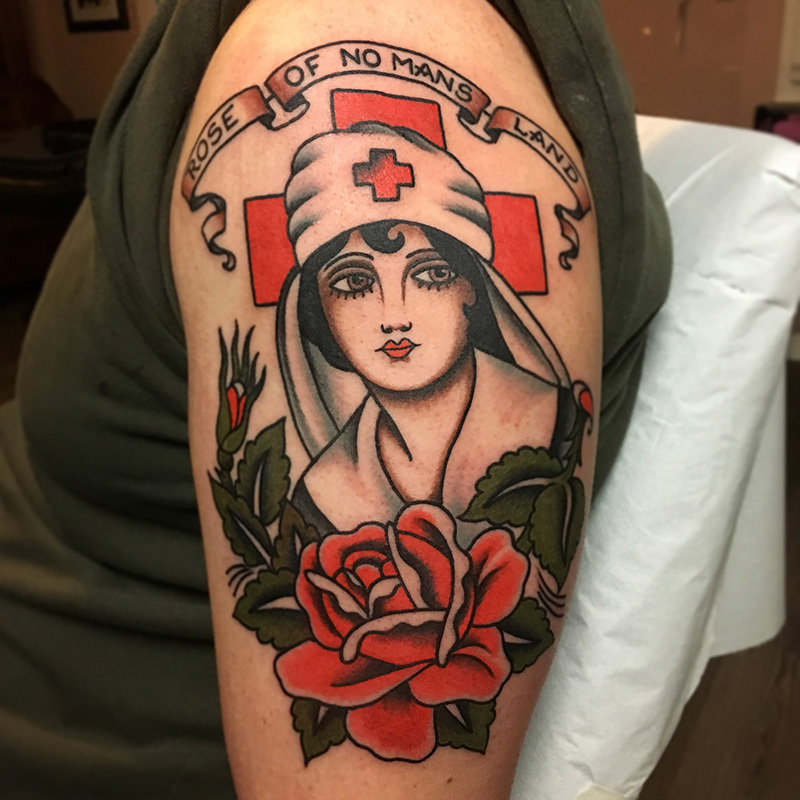 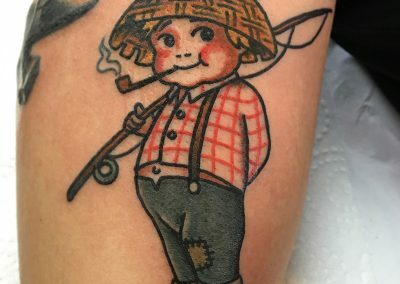 She likes drawing designs on the basis of tattoo-motives from the first half of the 20th century and mainly sticks to the pioneers of western tattoo history. 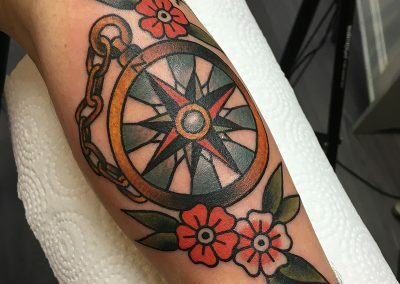 This way these motives don´t sink into oblivion but deliver some insight into a mystical time, when tattoos were predominantly worn circus artists and sailors. 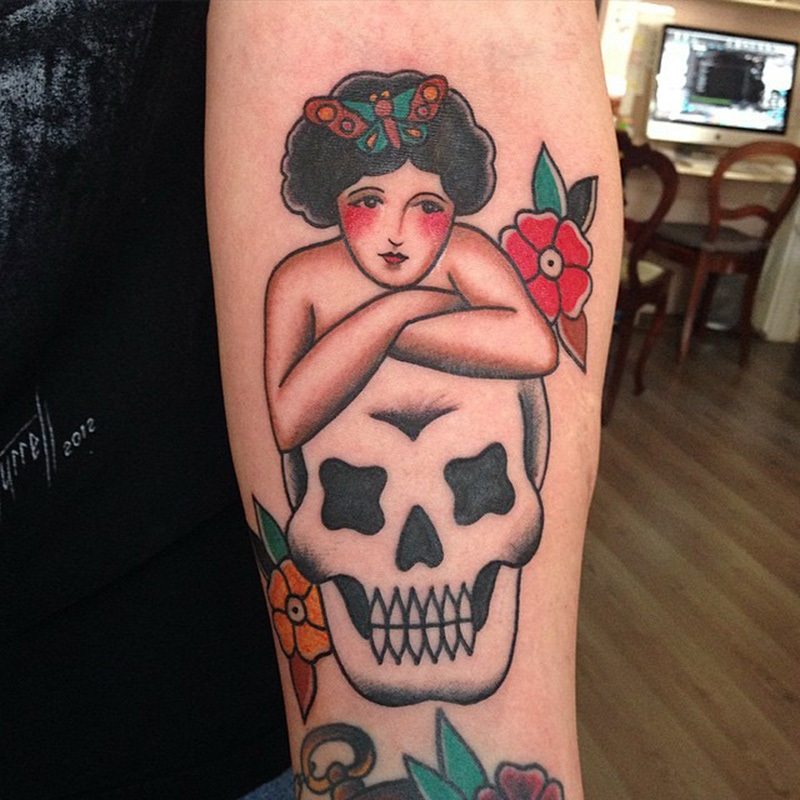 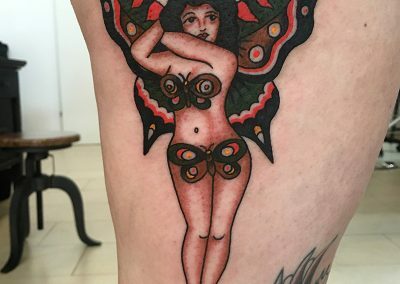 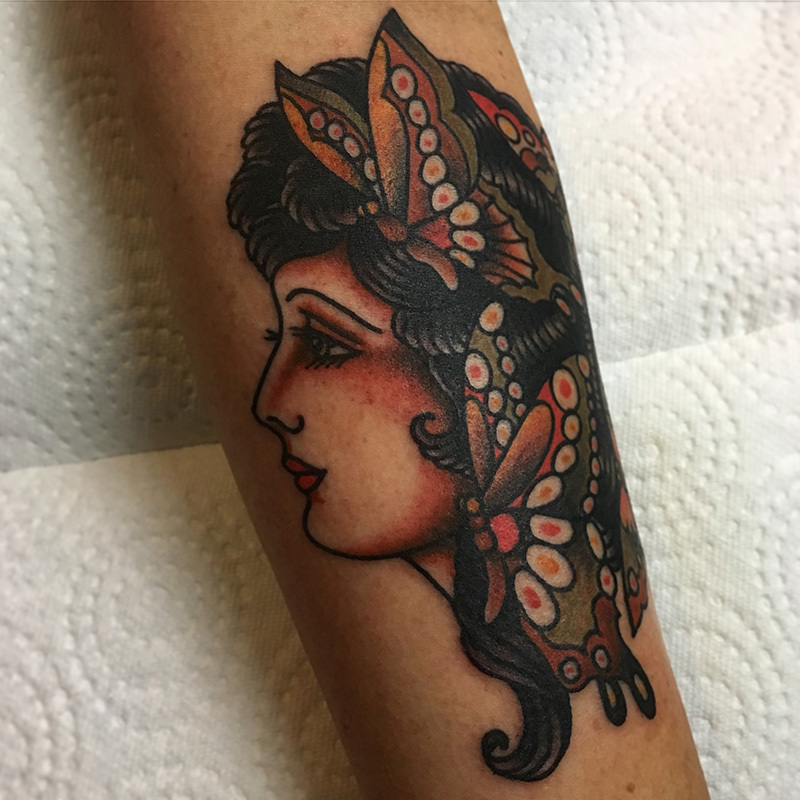 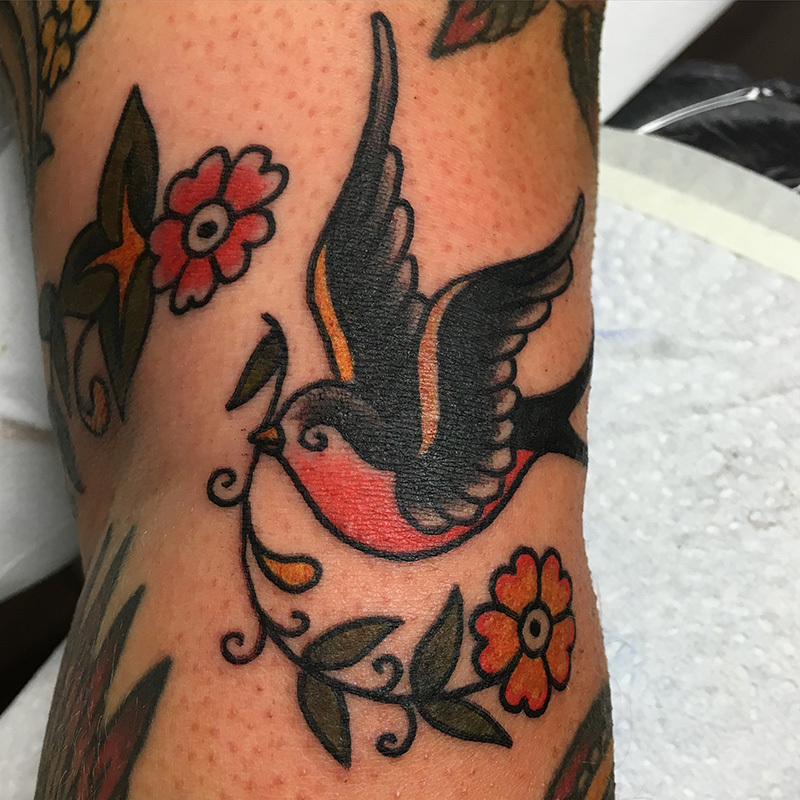 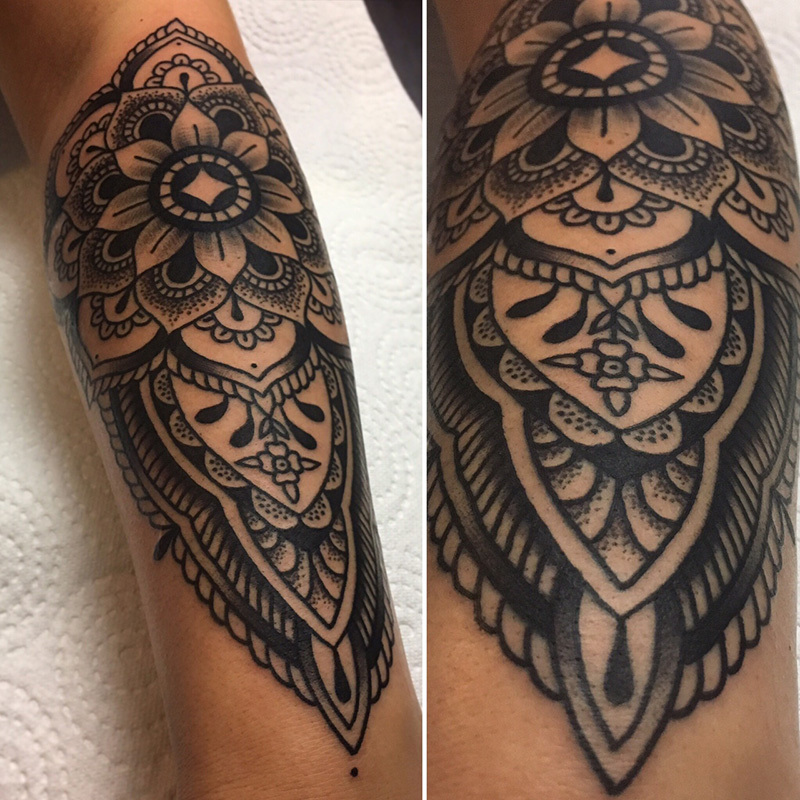 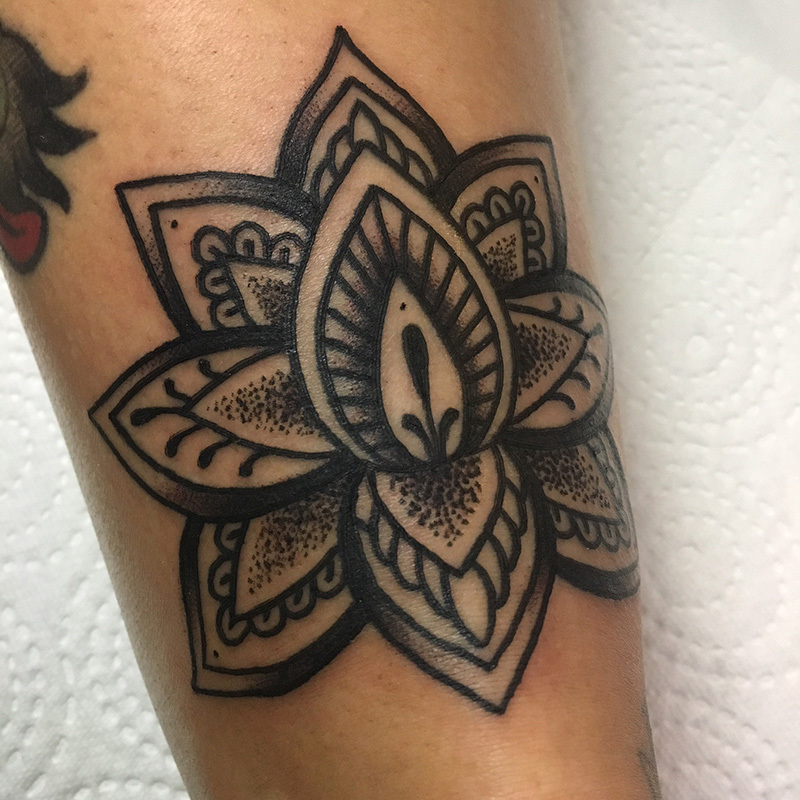 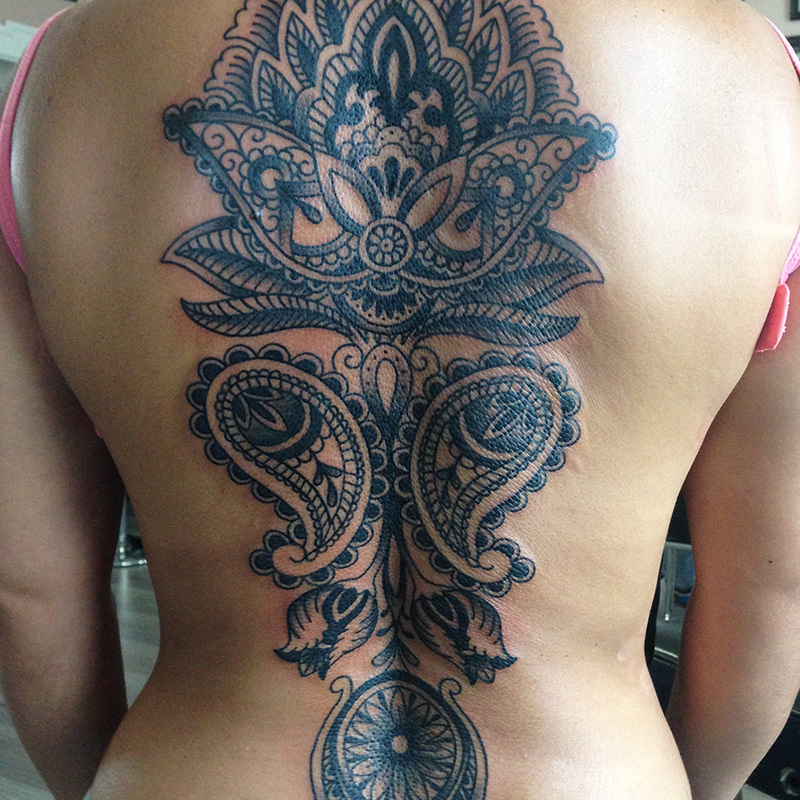 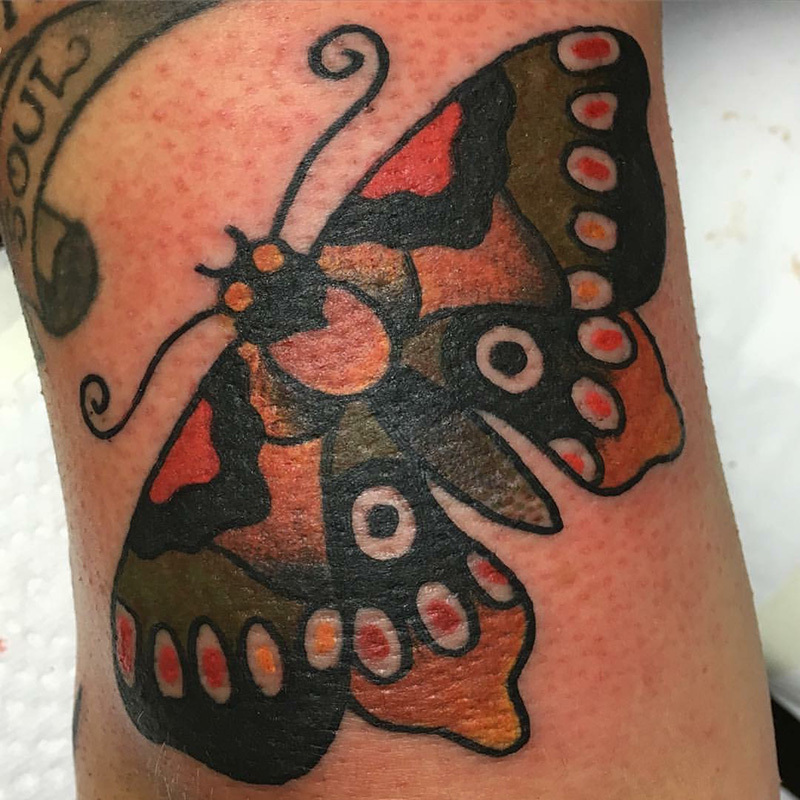 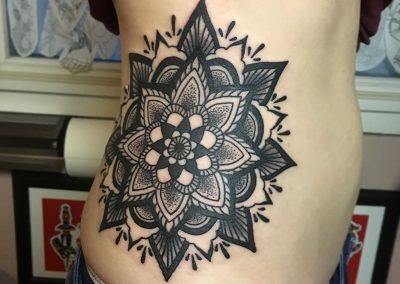 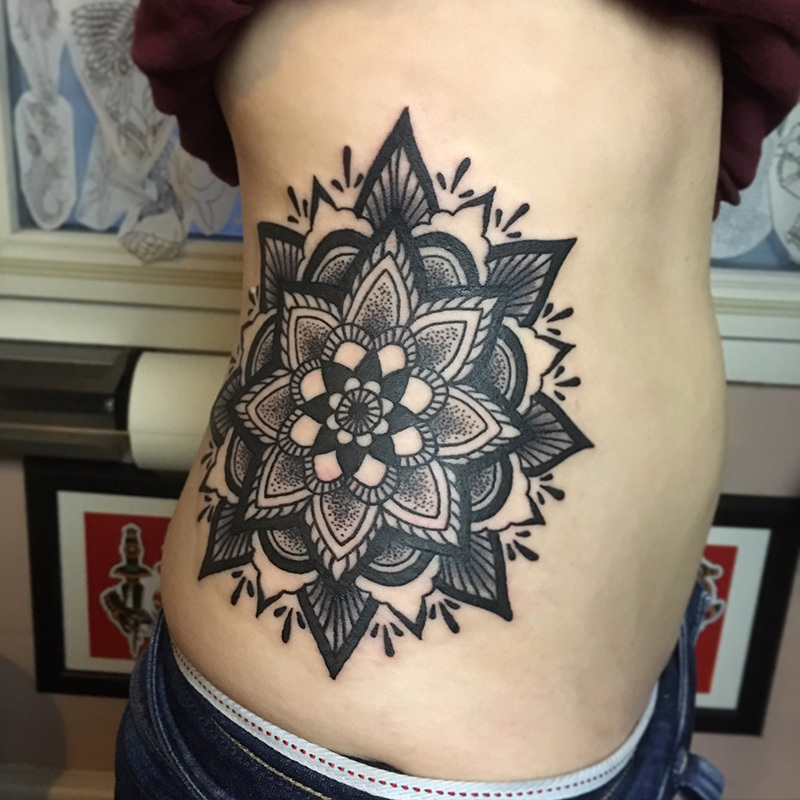 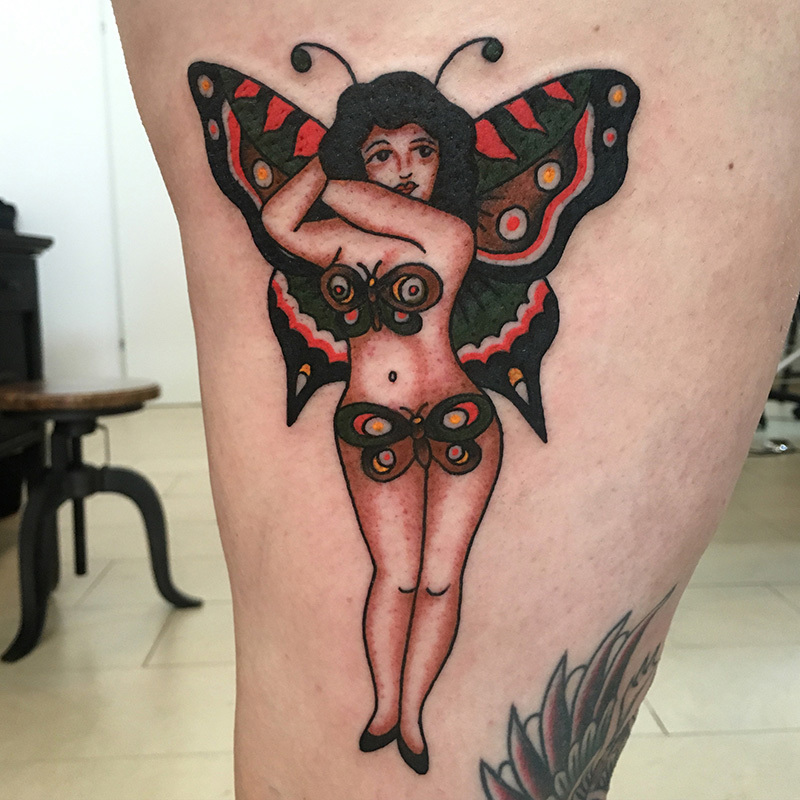 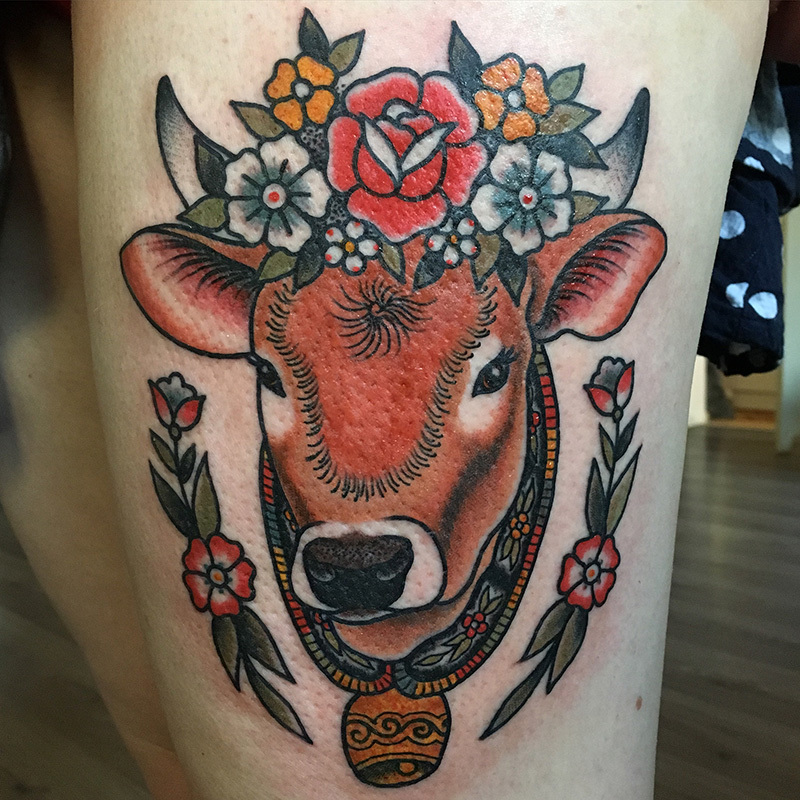 Beside traditional designs she also enjoys tattooing other styles, such as blackwork, Art Nouveau and Art Deco. 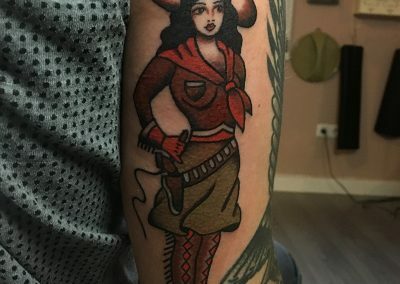 You can find her at many different conventions and as a guest at other studios, find more information on this in „Events“. 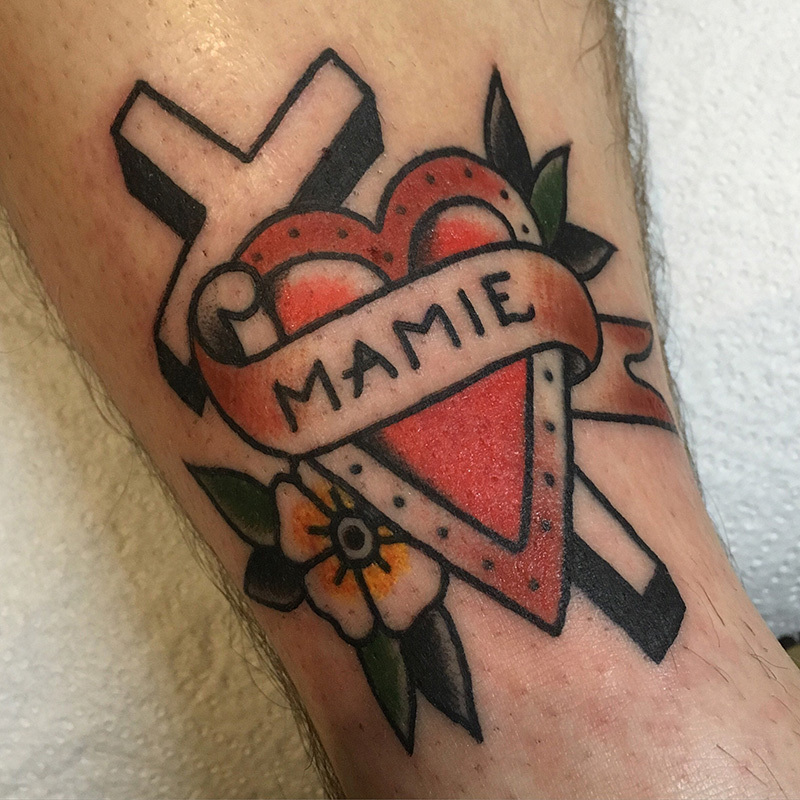 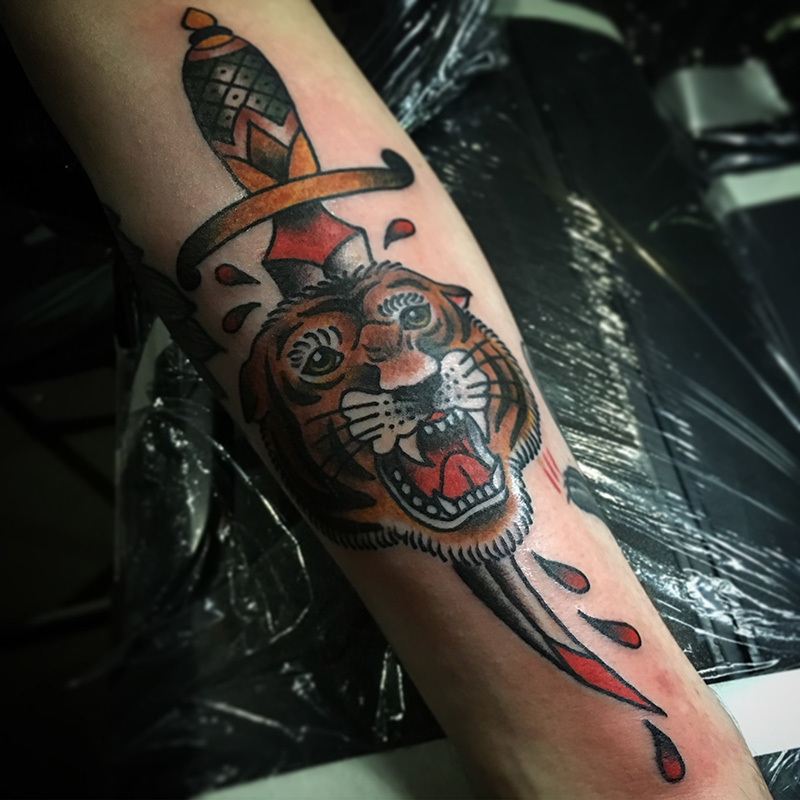 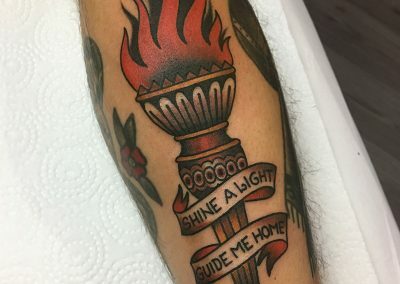 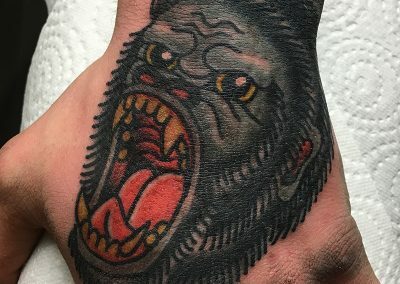 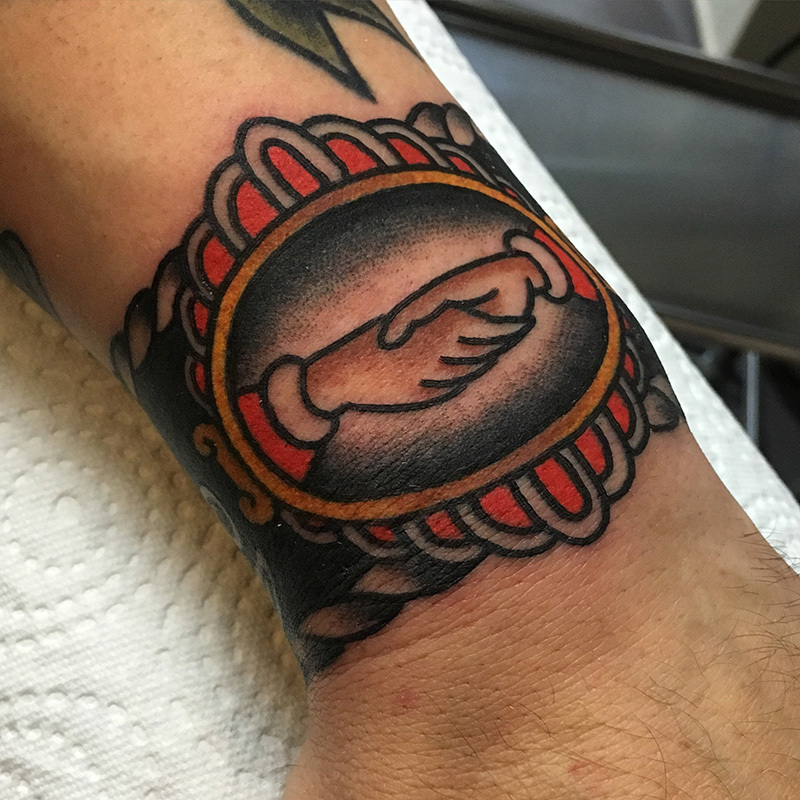 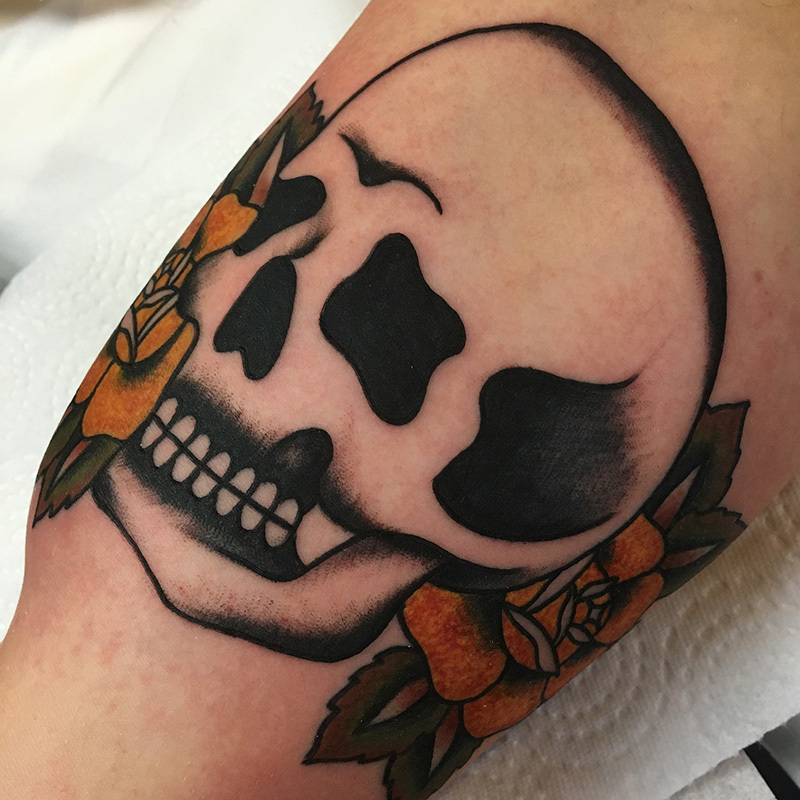 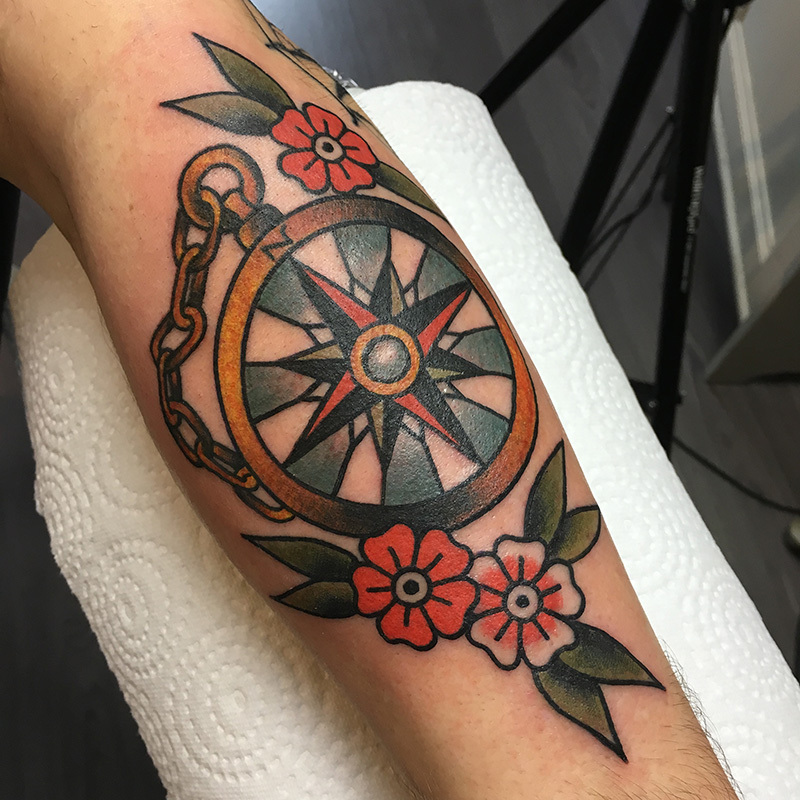 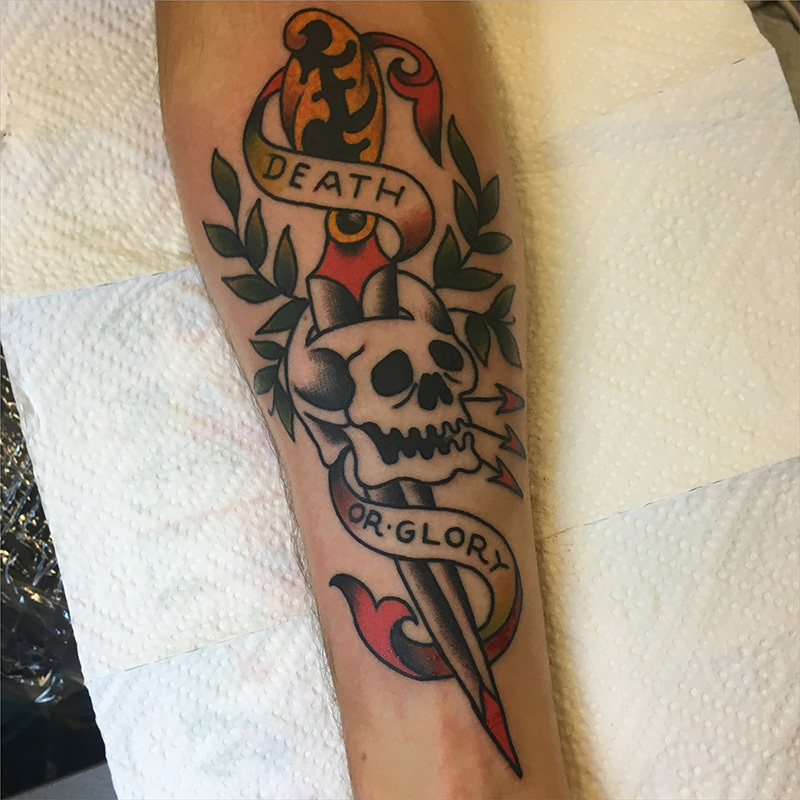 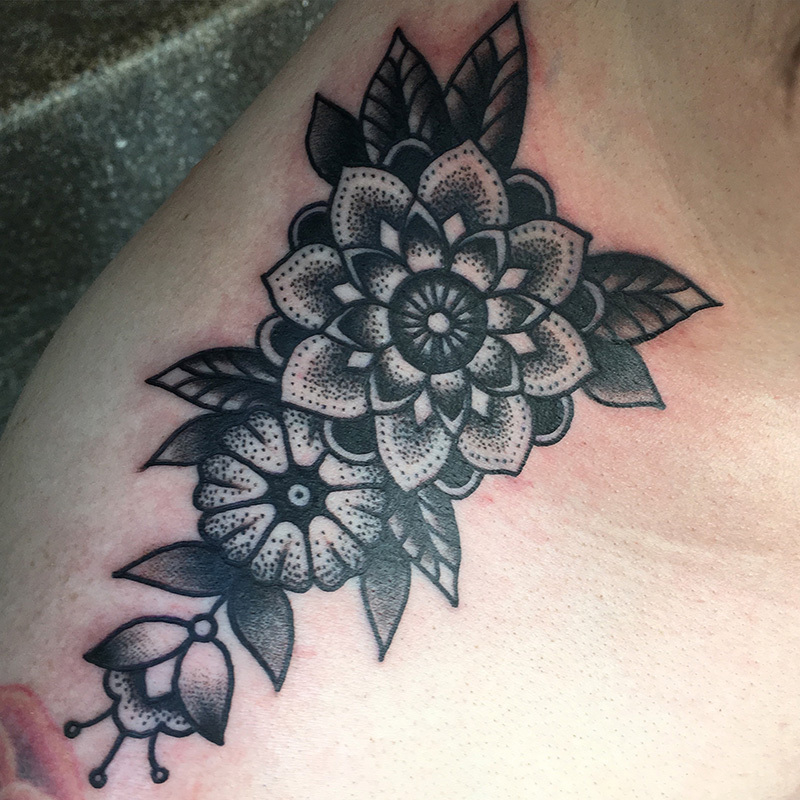 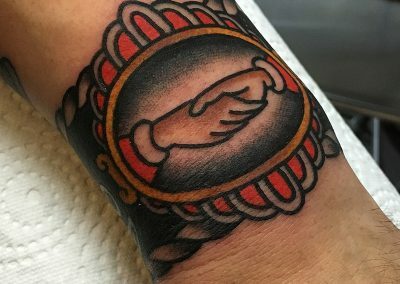 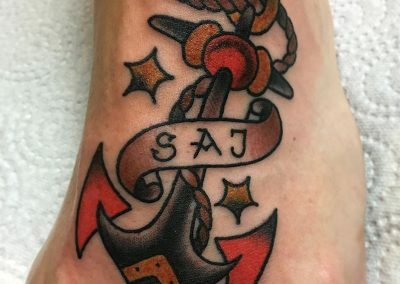 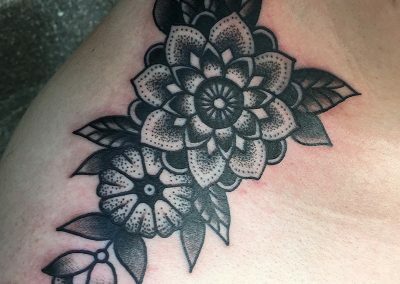 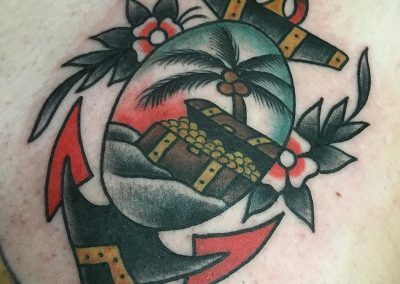 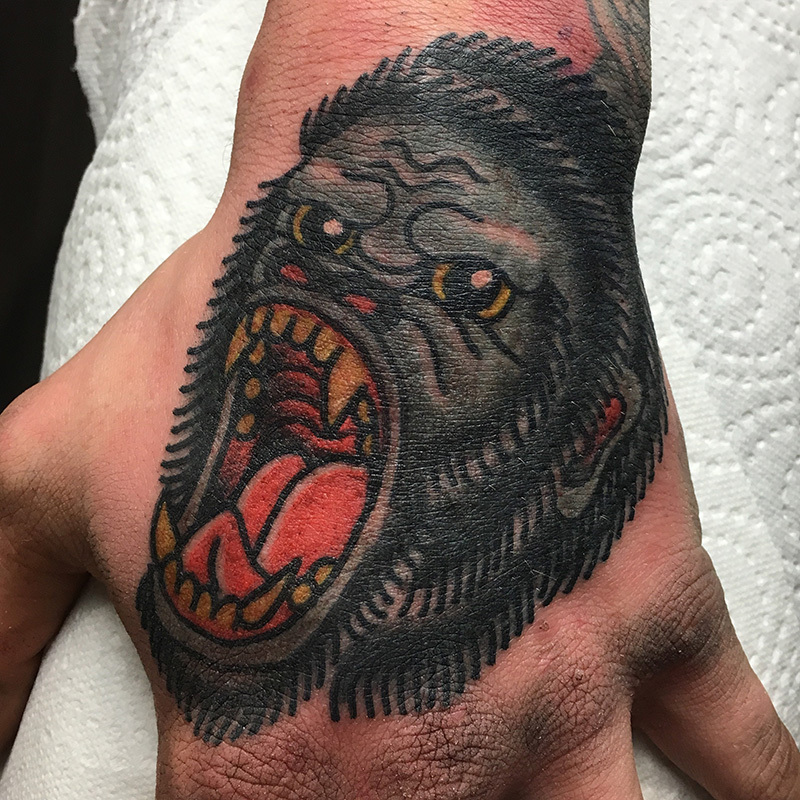 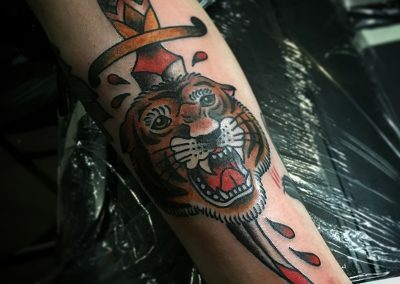 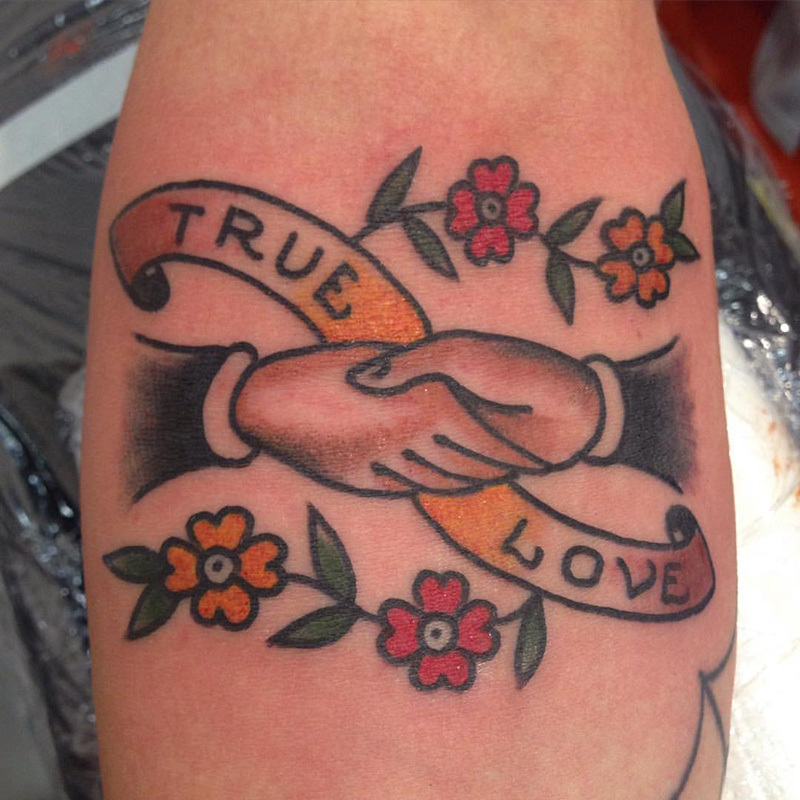 Just schedule an appointment for a consultation and we can discuss your individual tattoo-idea in person. 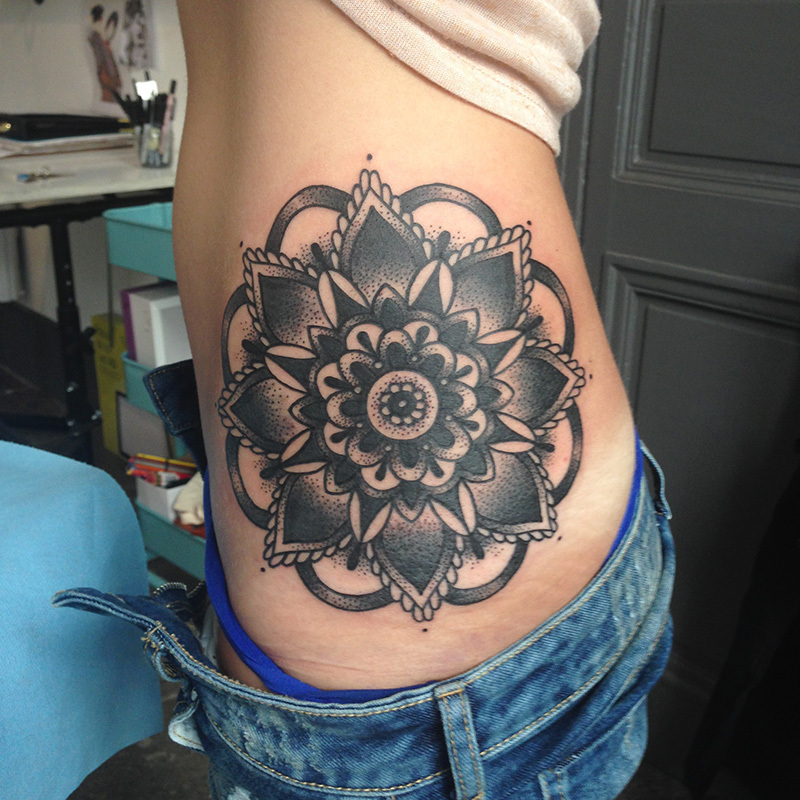 You want to get tattoed by Adri? 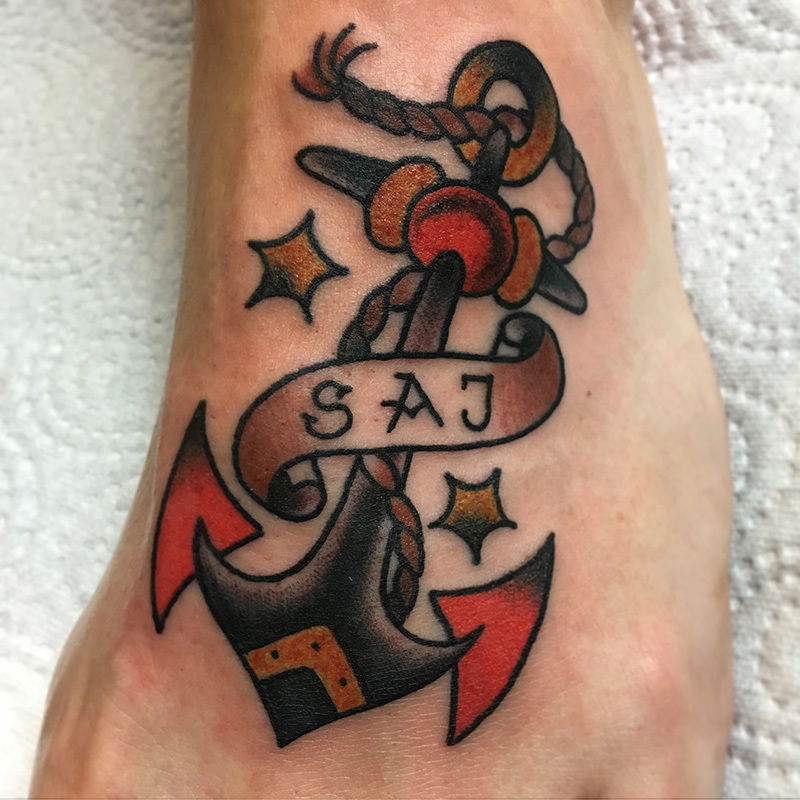 Step in, write us, call us or contact us via our social media. 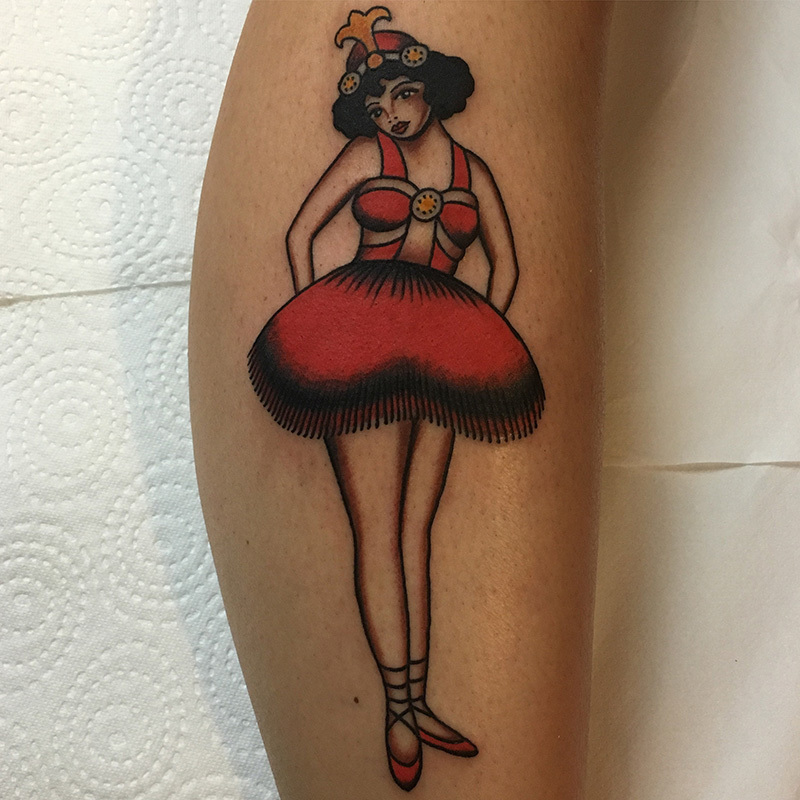 We are looking forward to you!